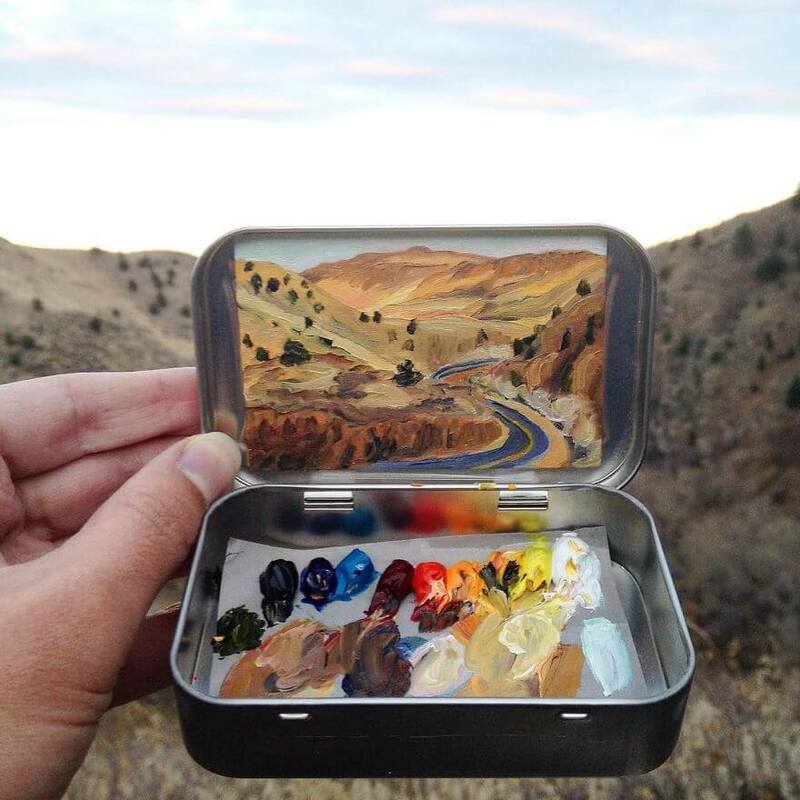 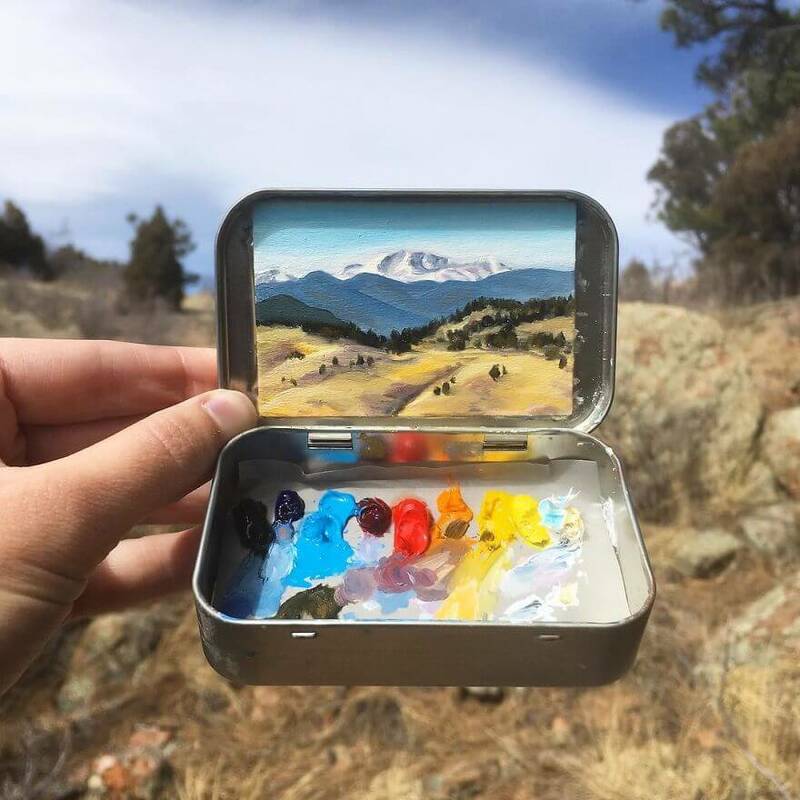 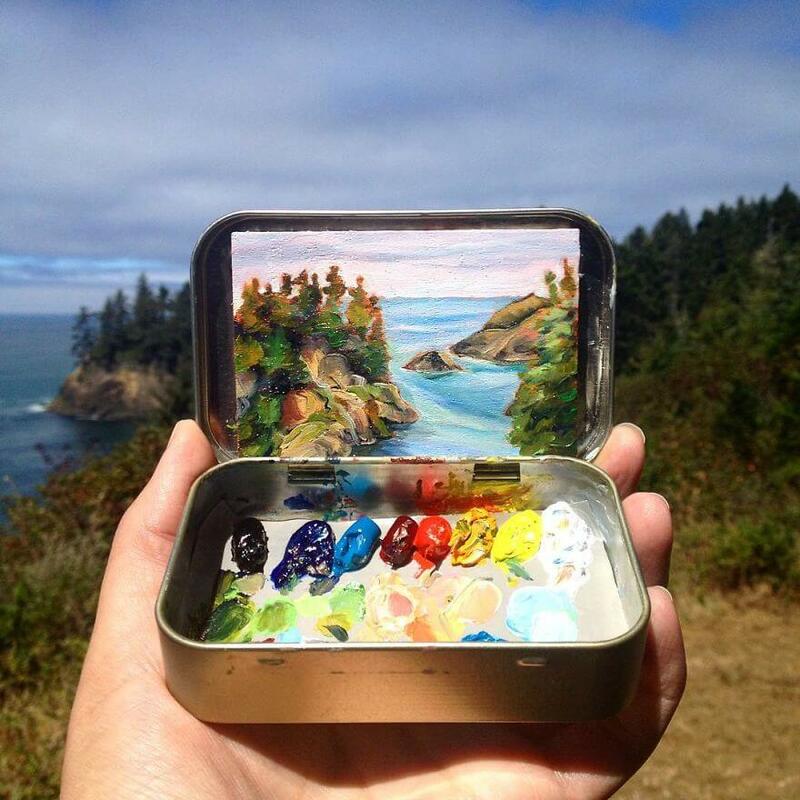 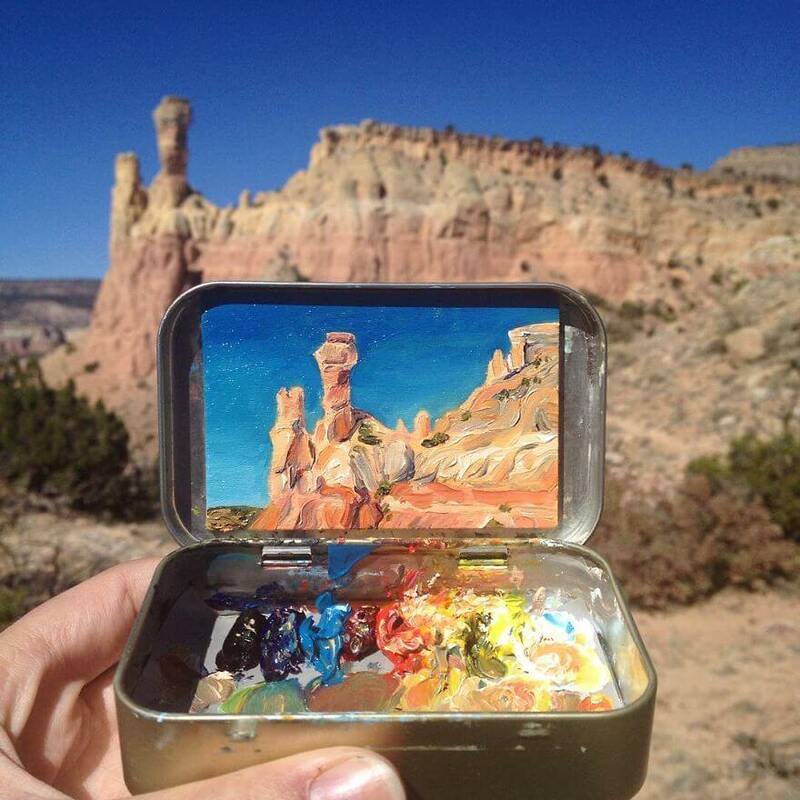 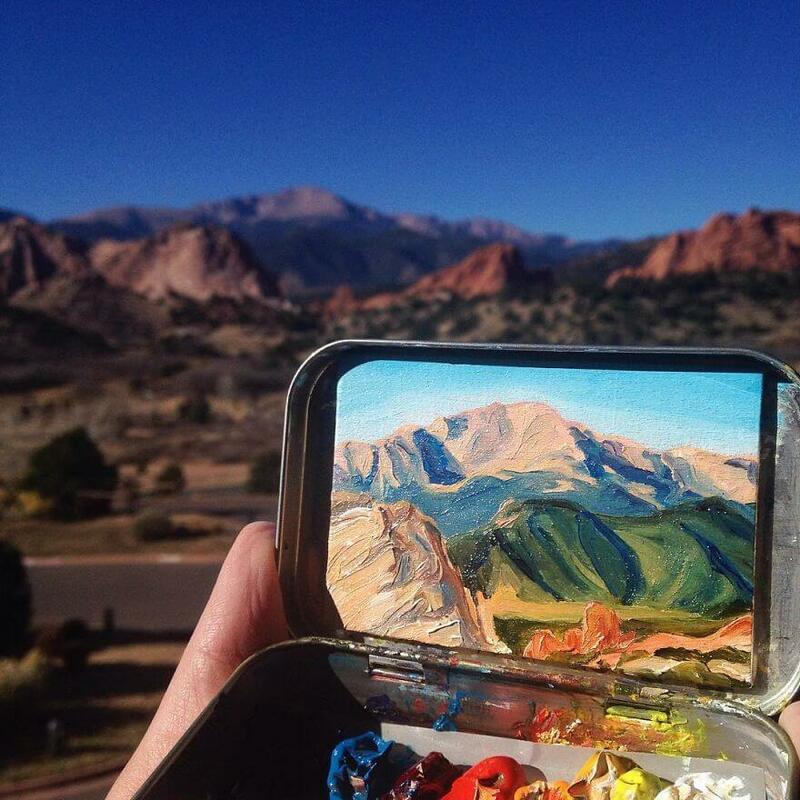 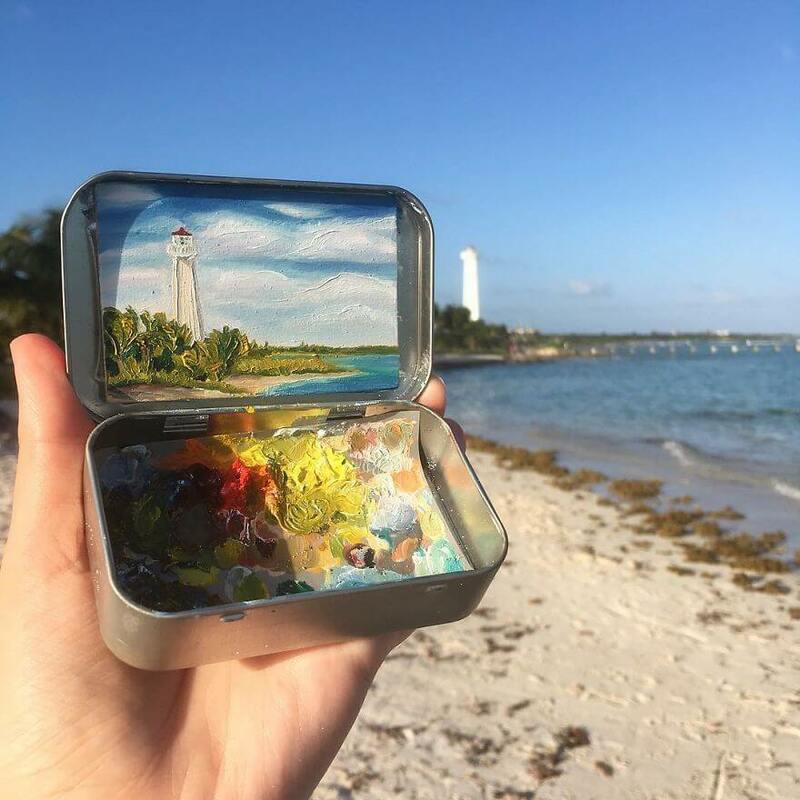 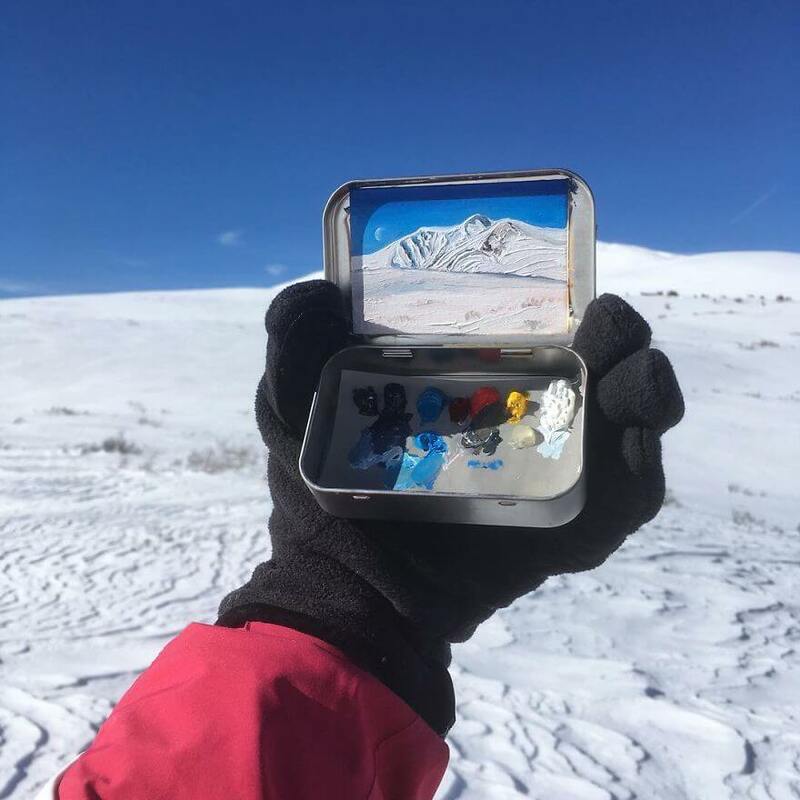 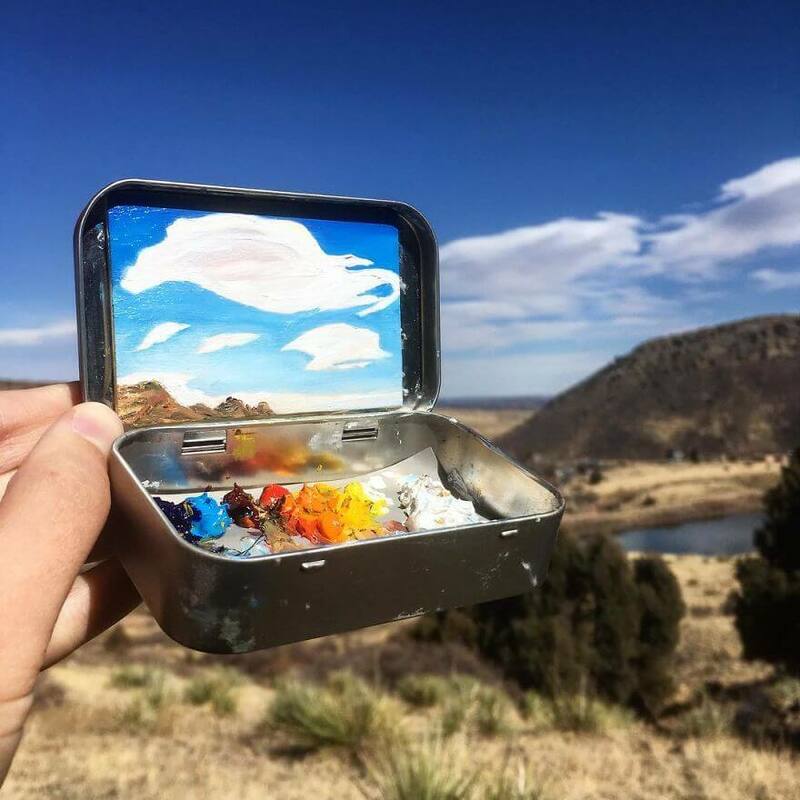 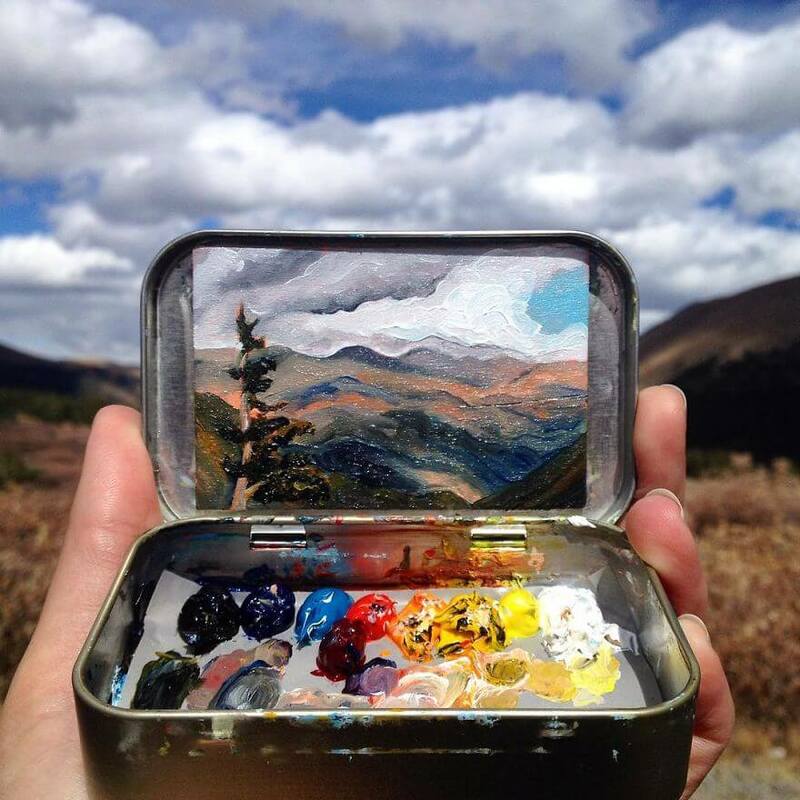 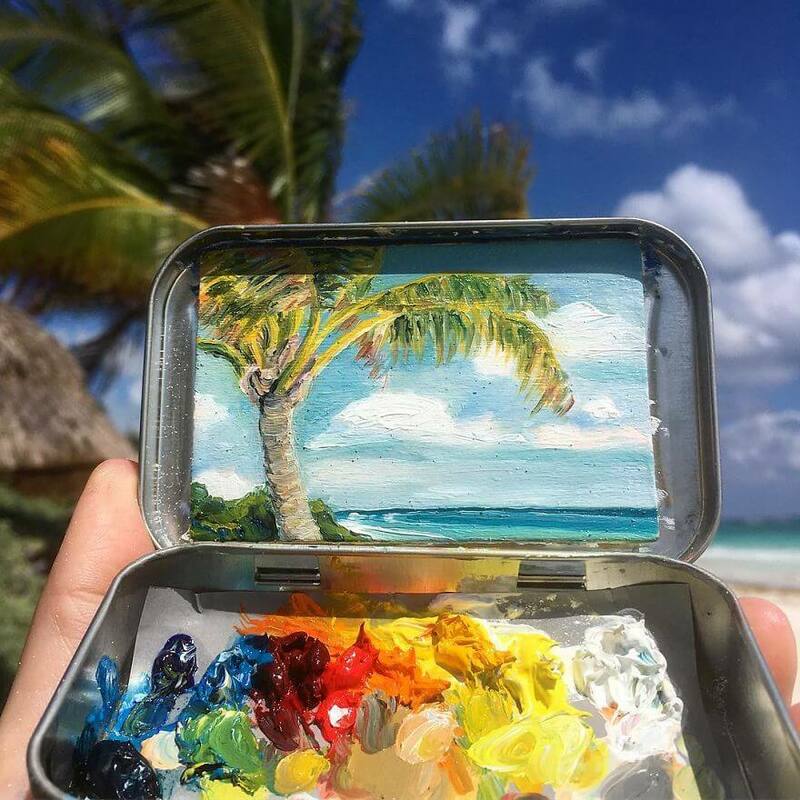 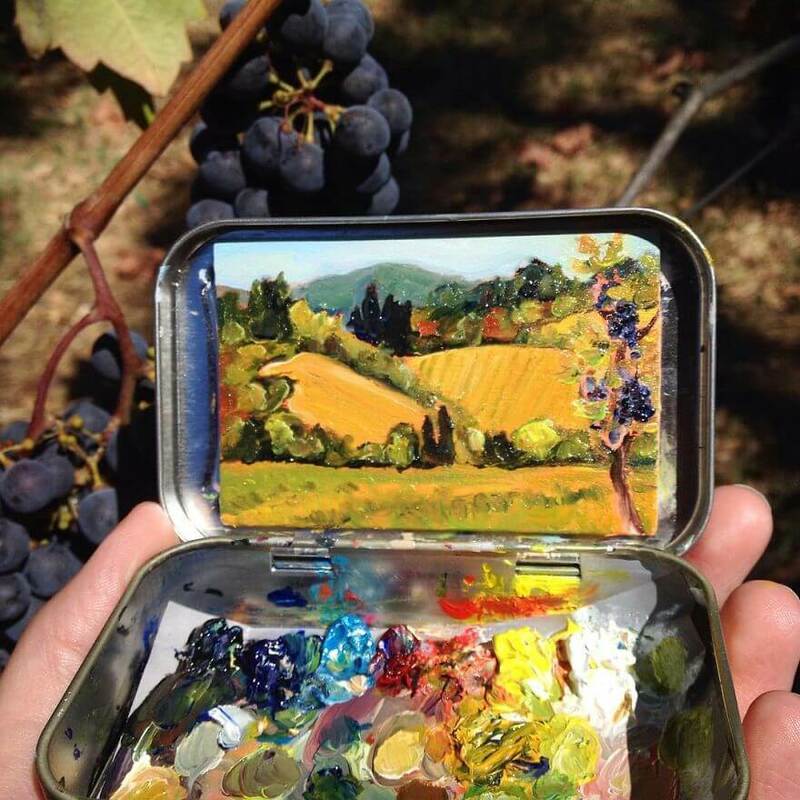 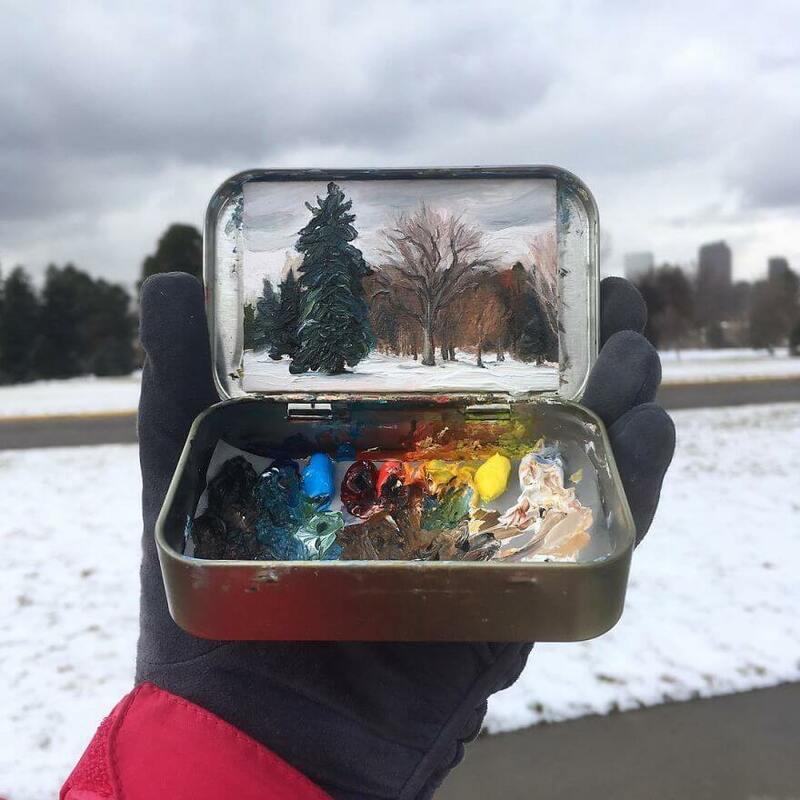 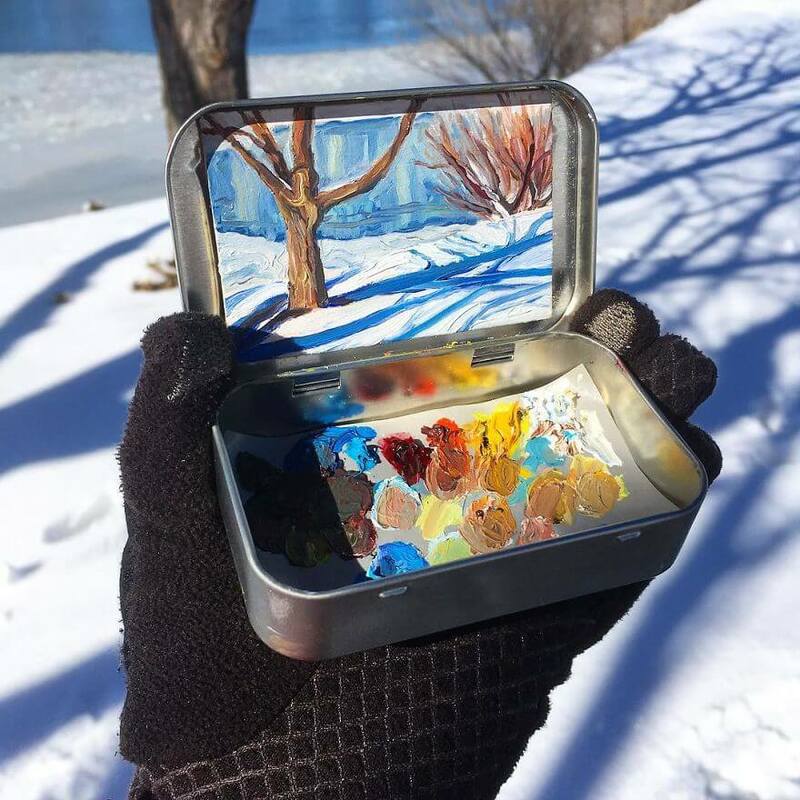 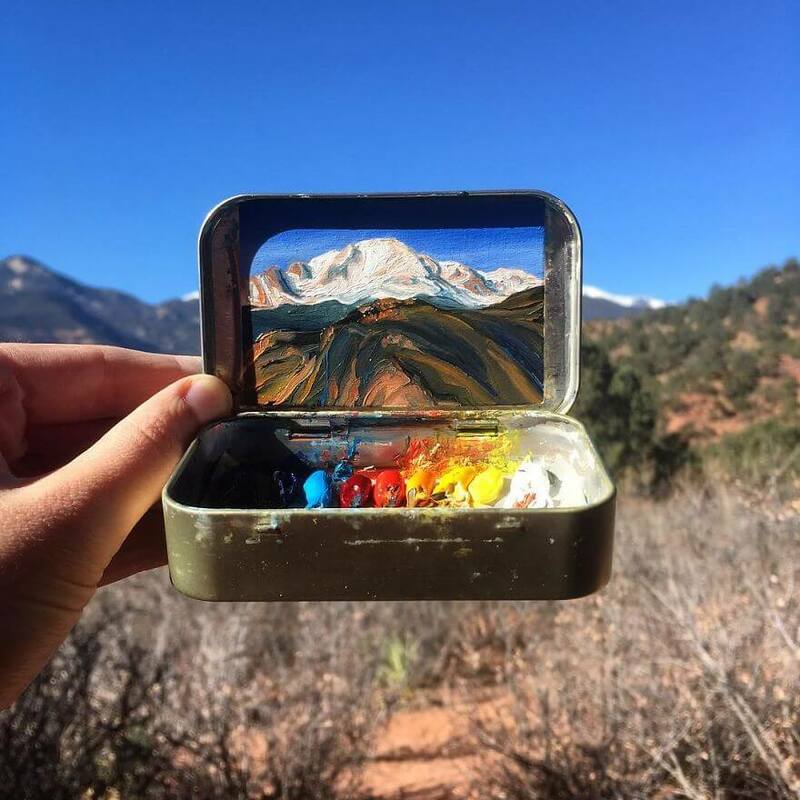 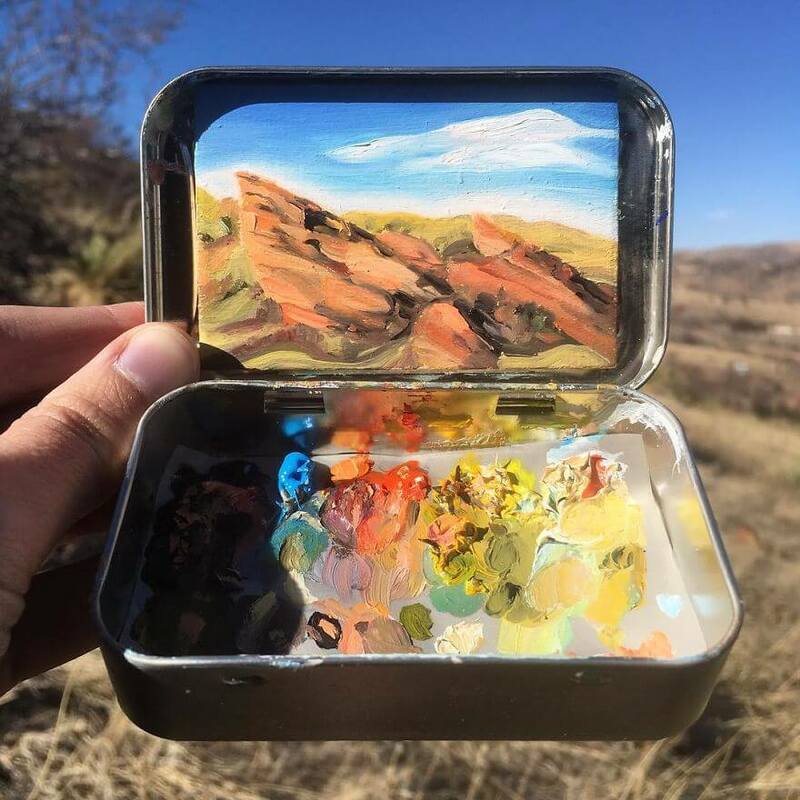 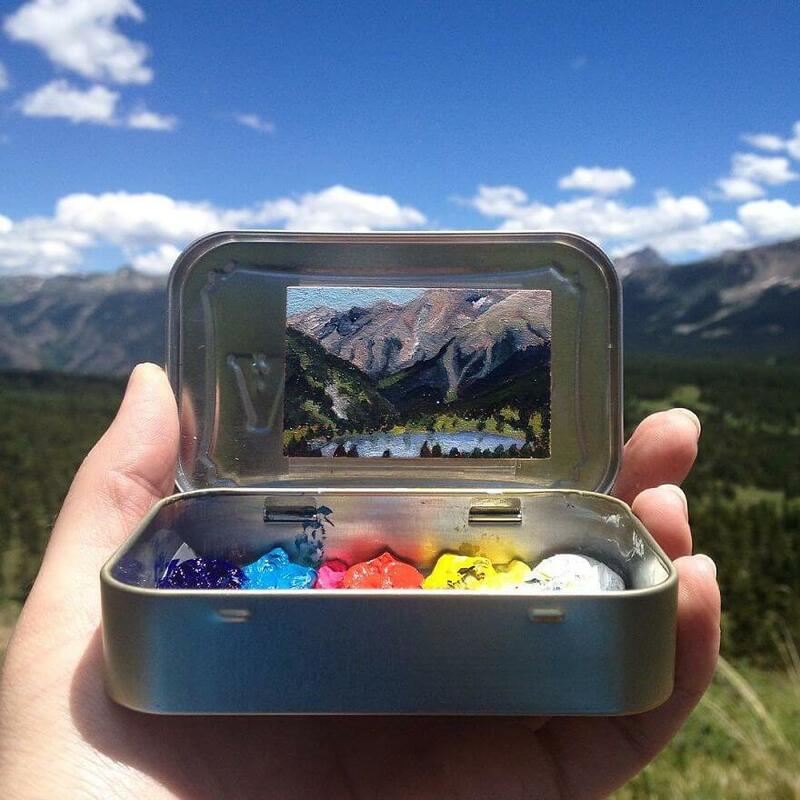 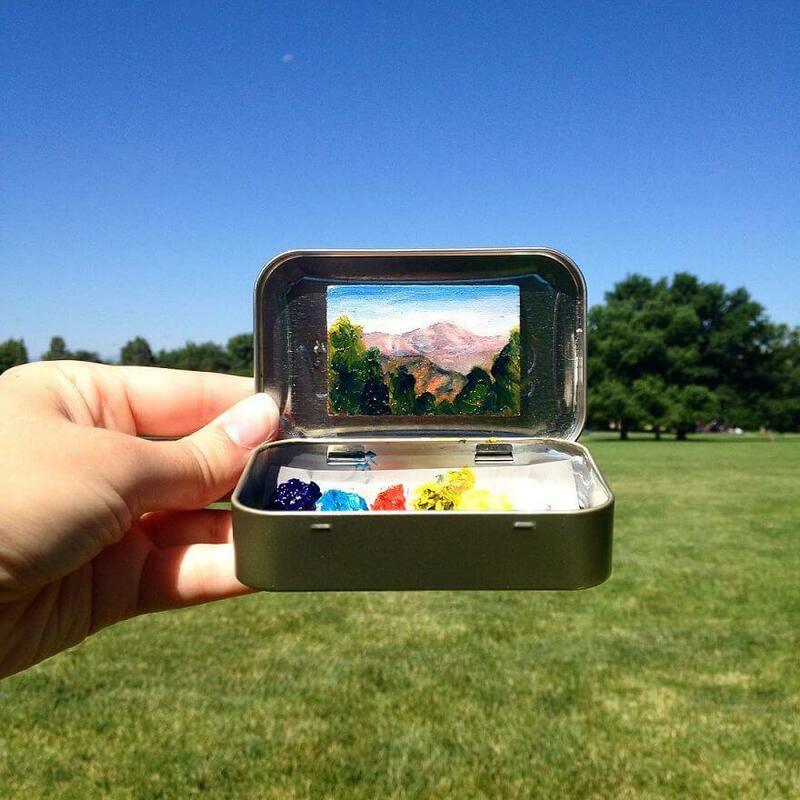 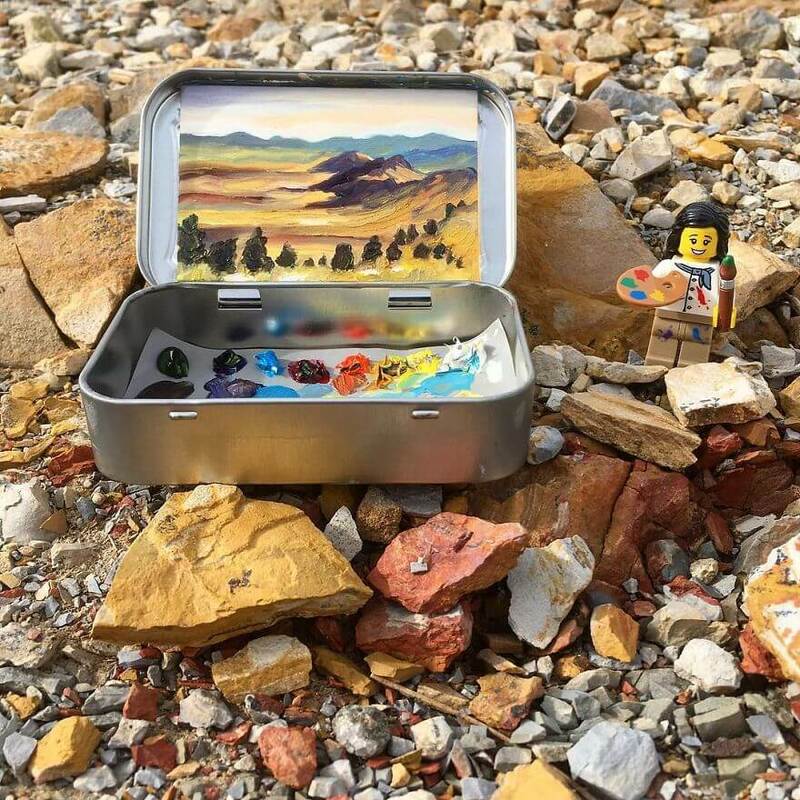 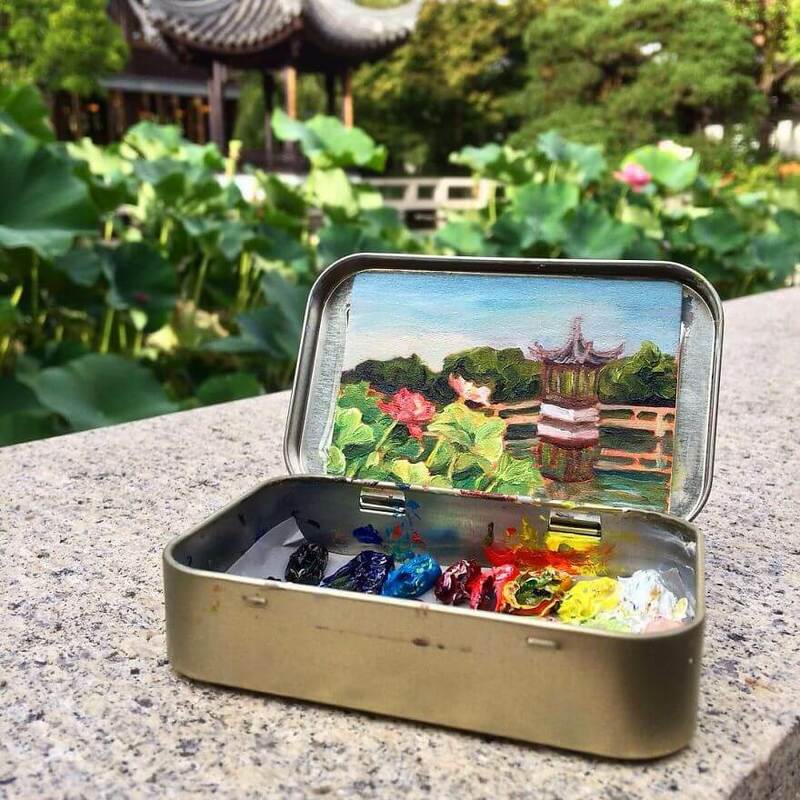 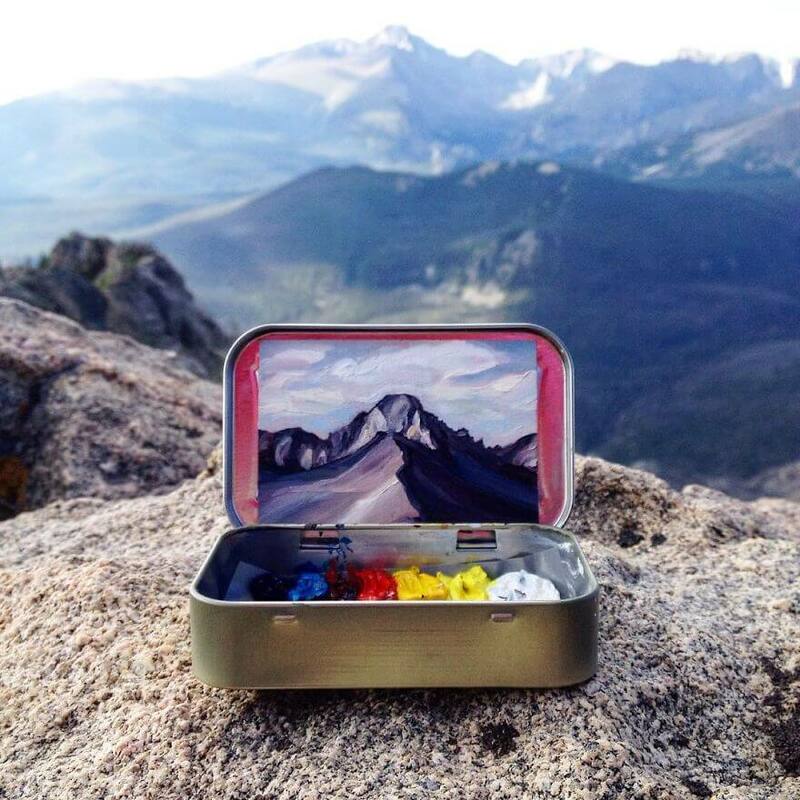 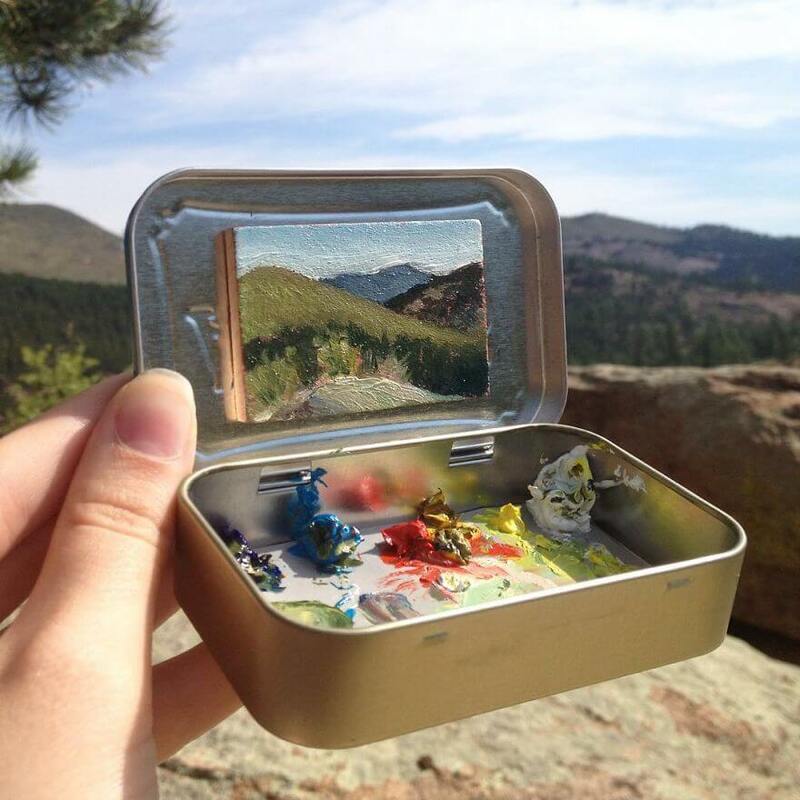 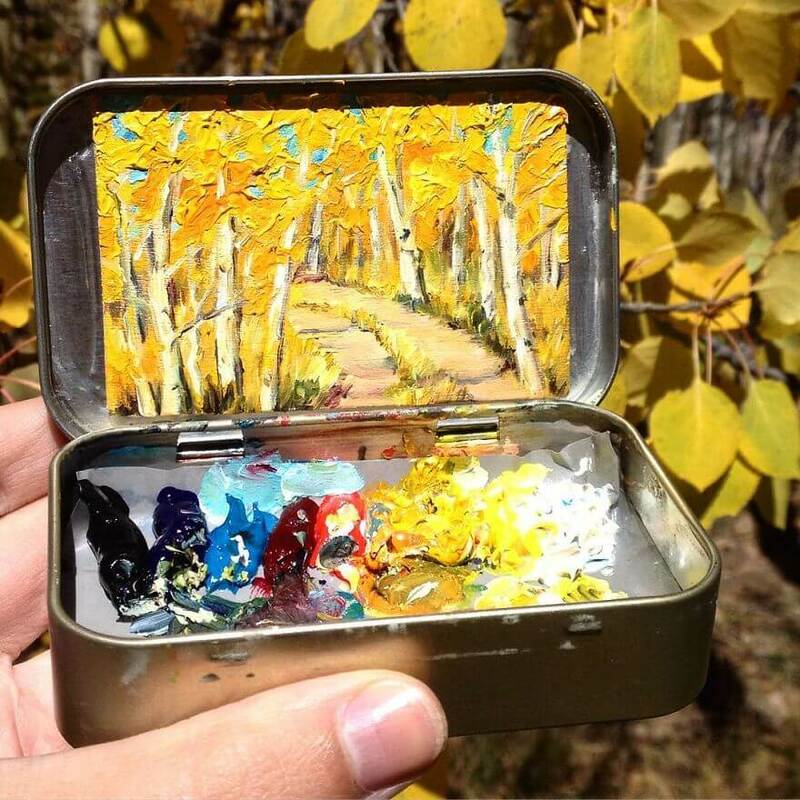 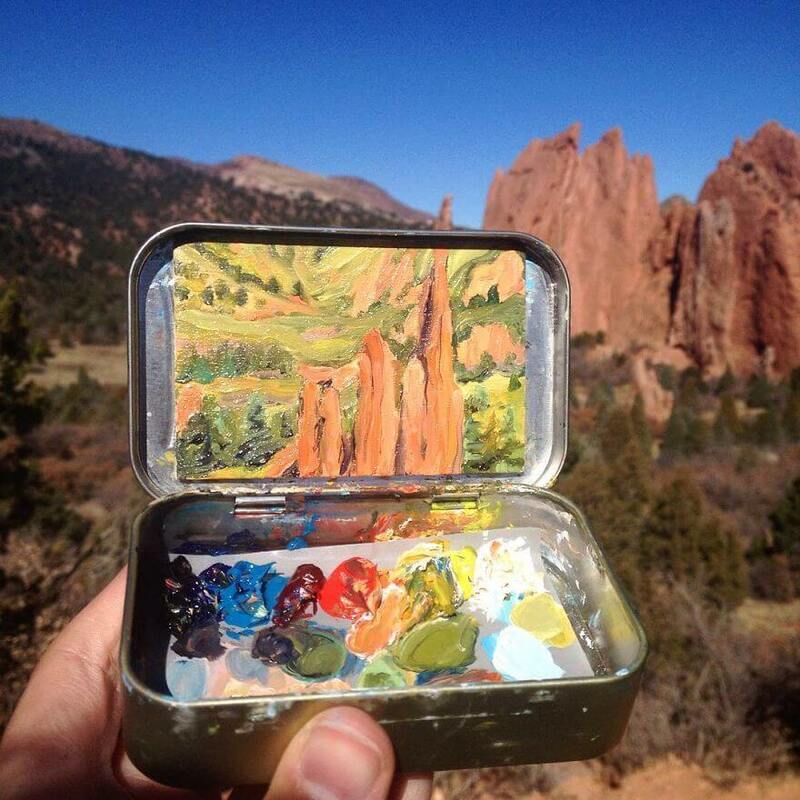 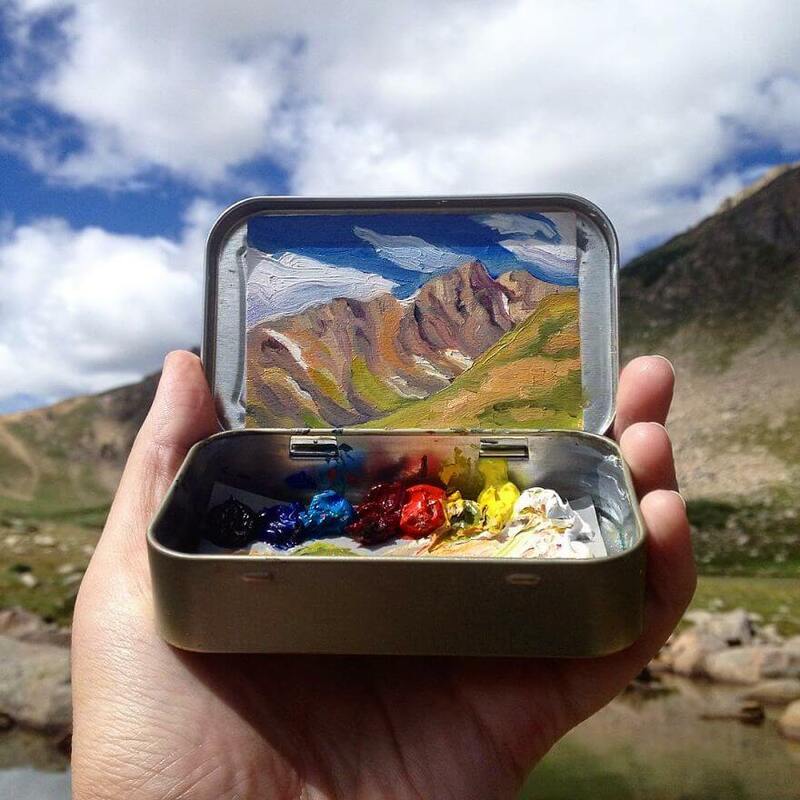 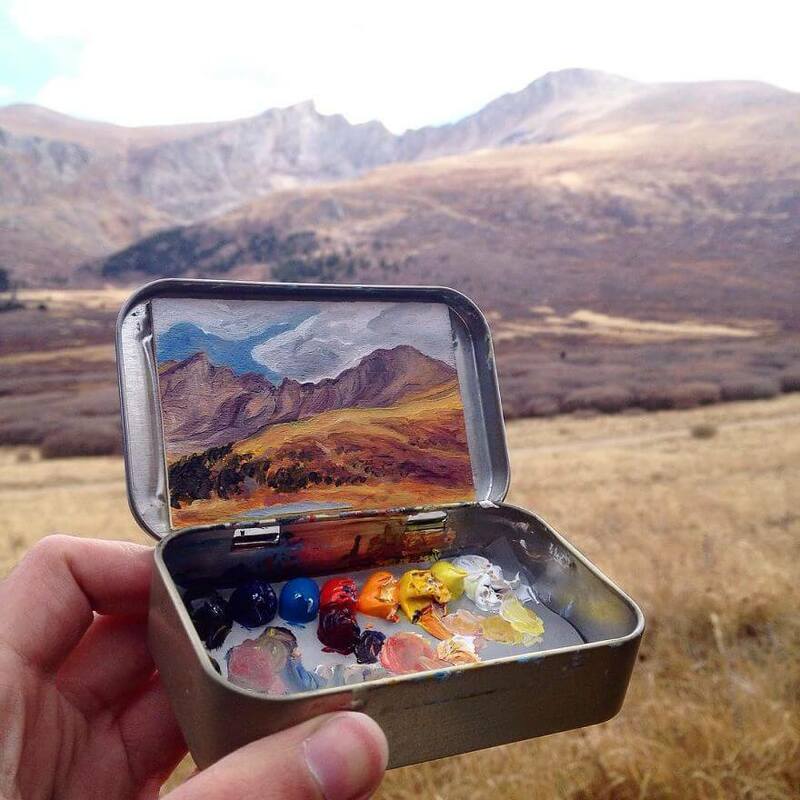 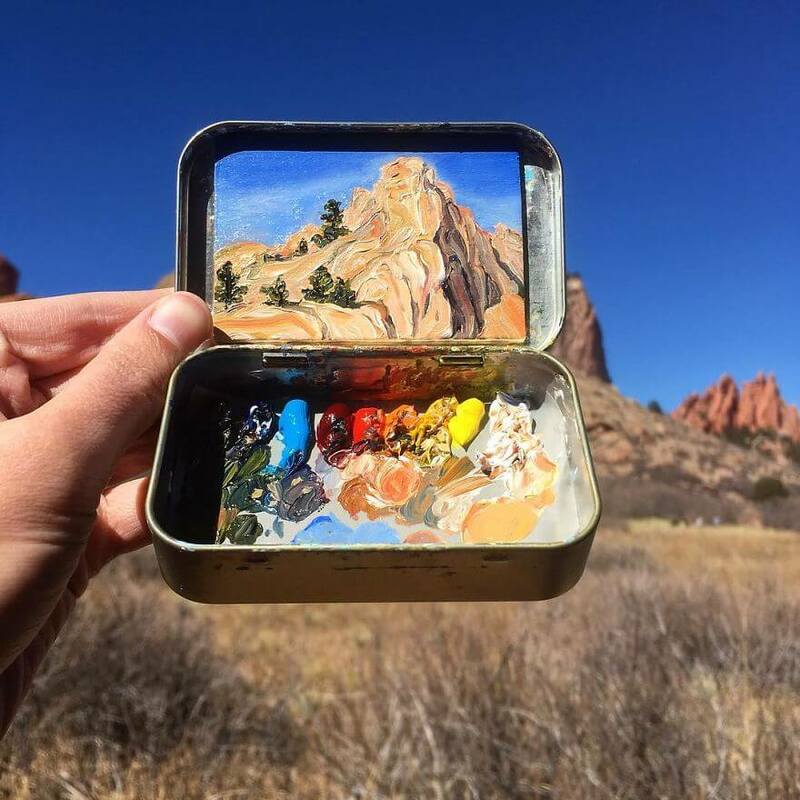 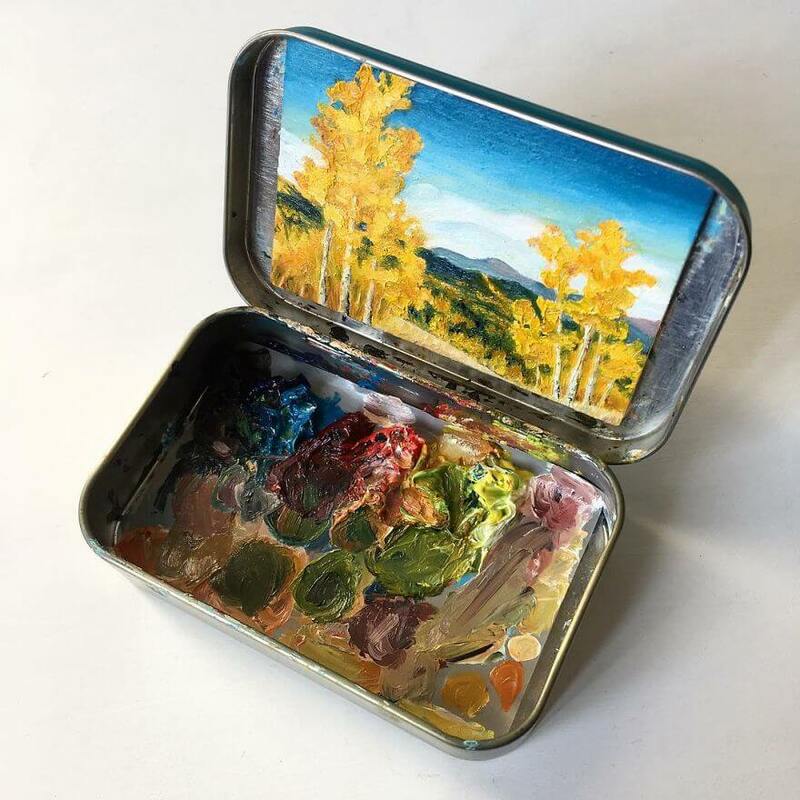 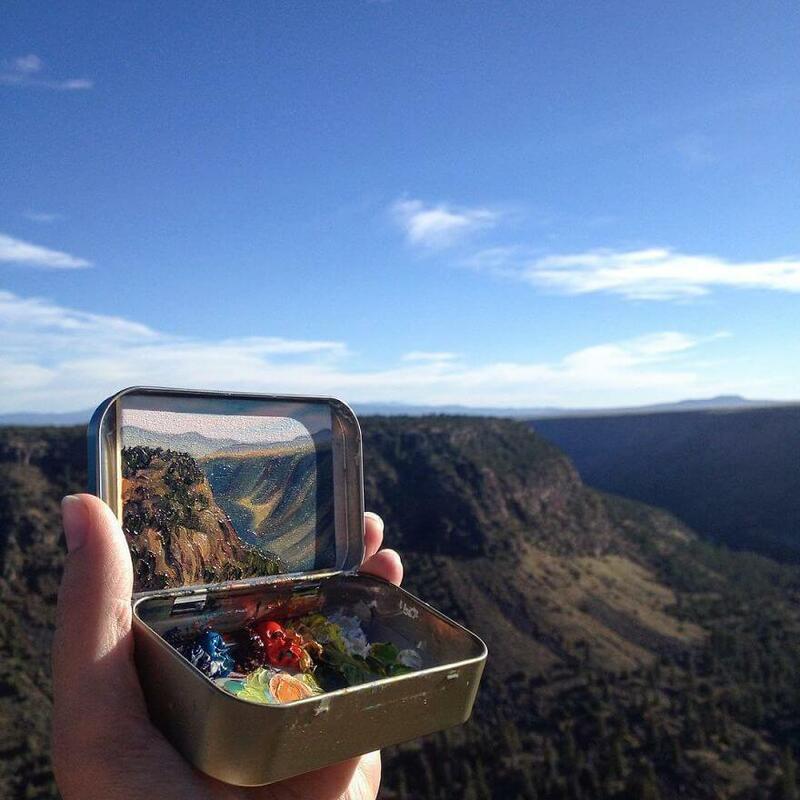 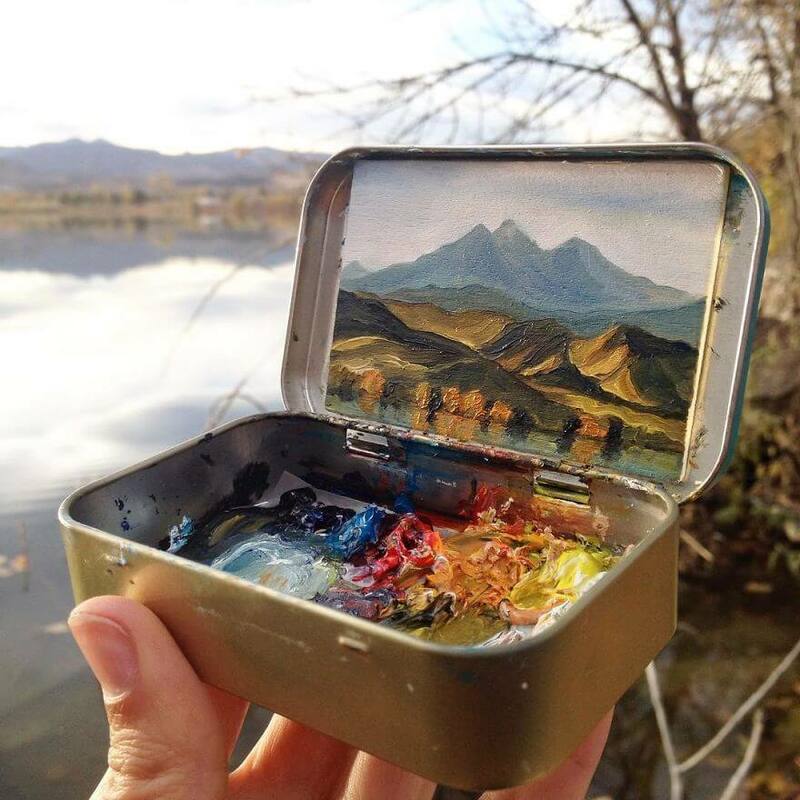 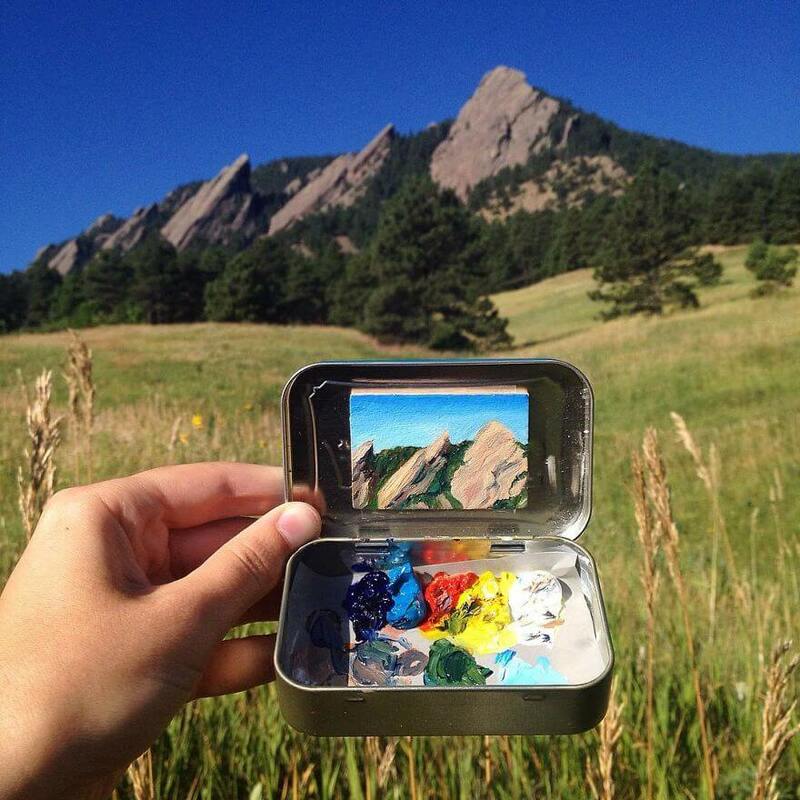 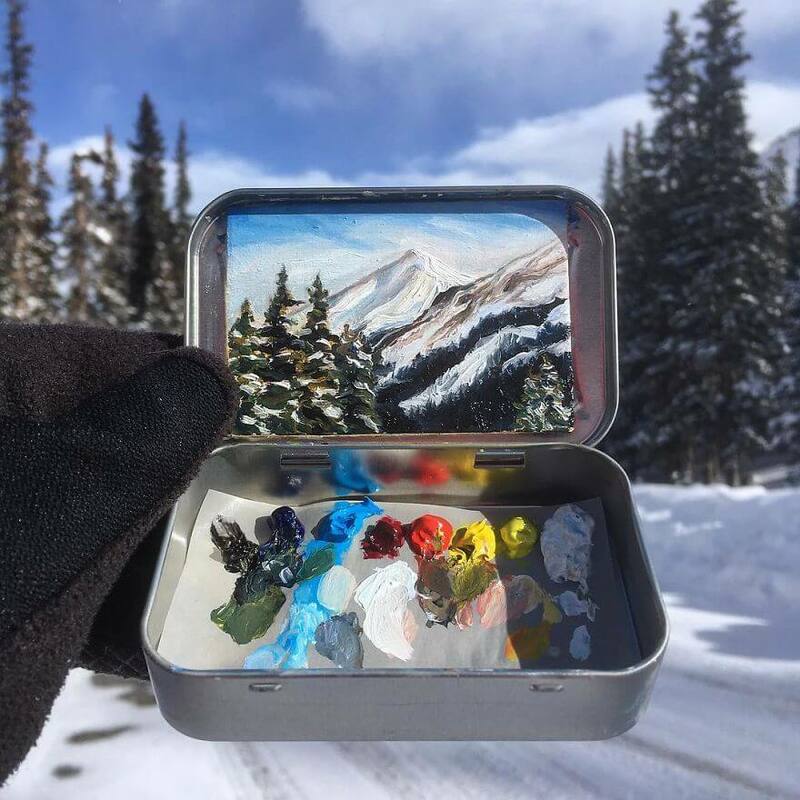 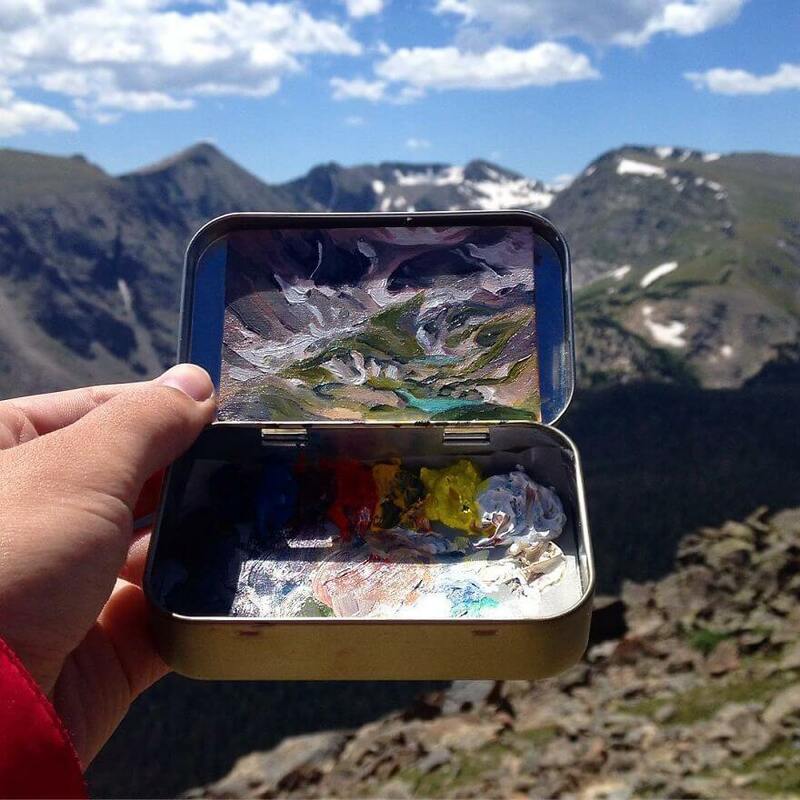 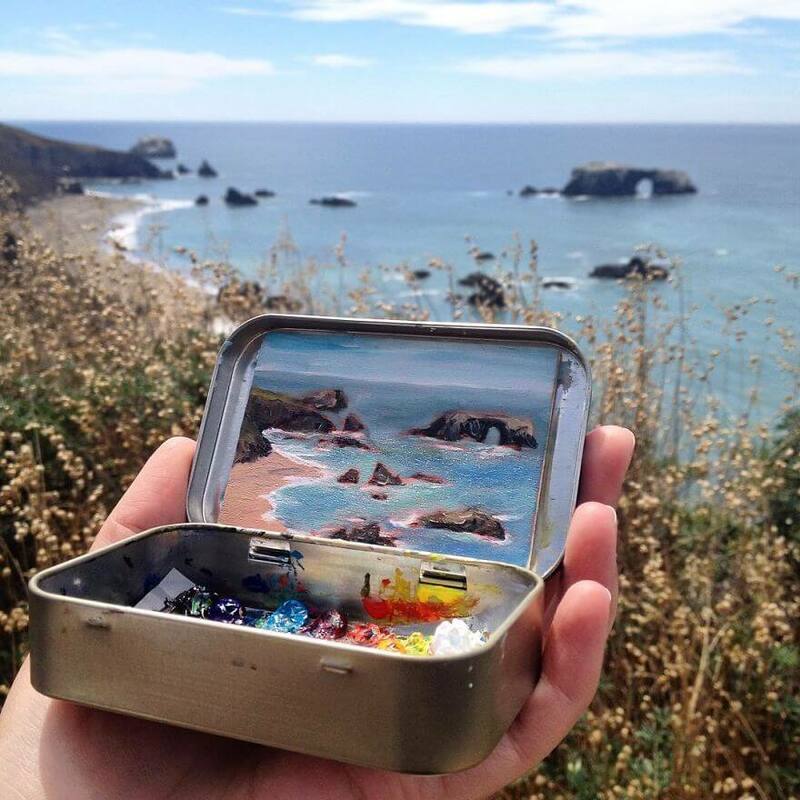 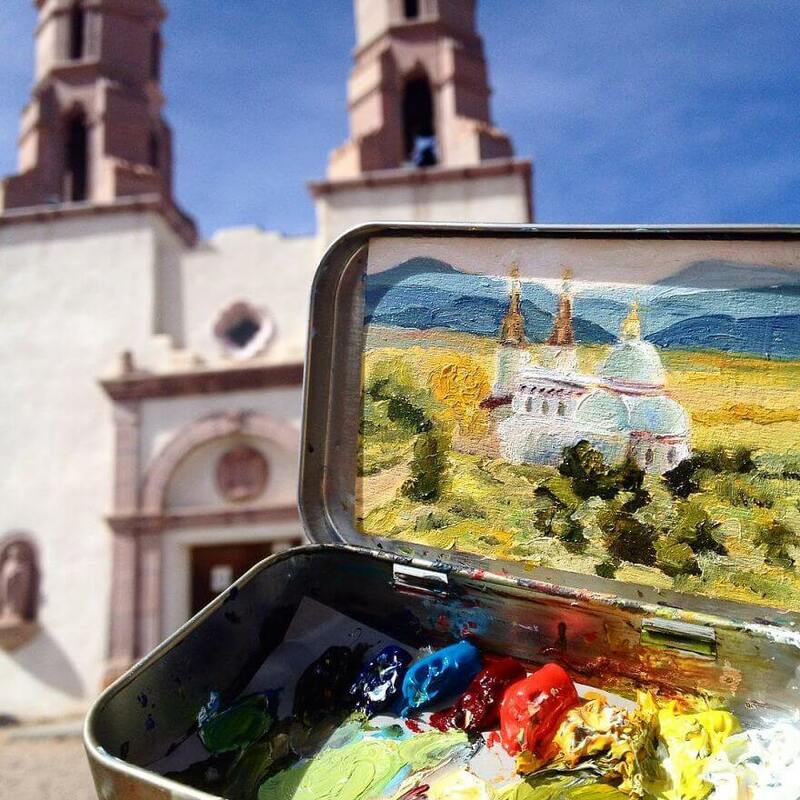 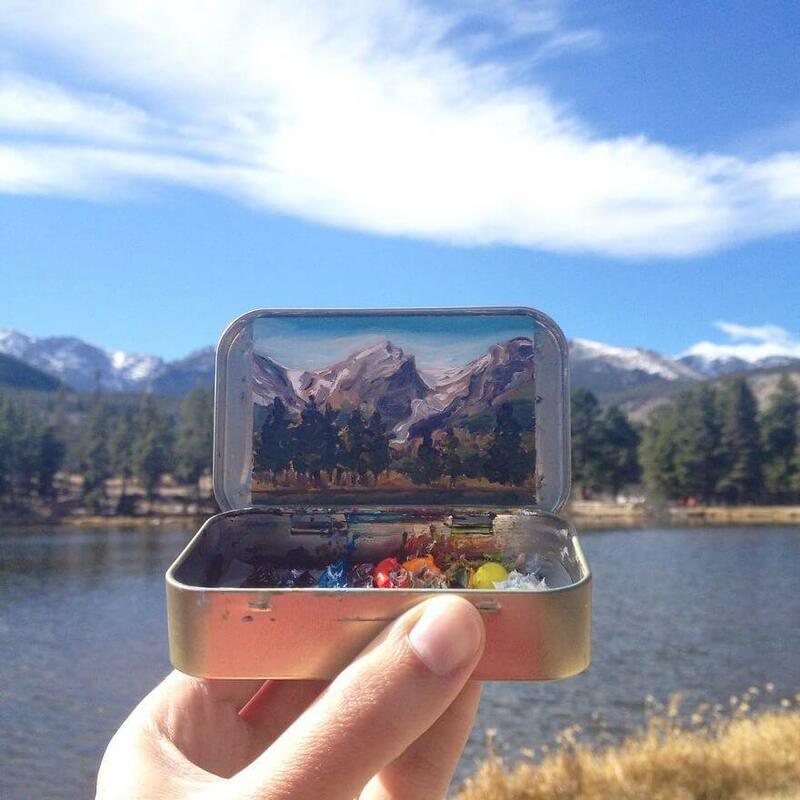 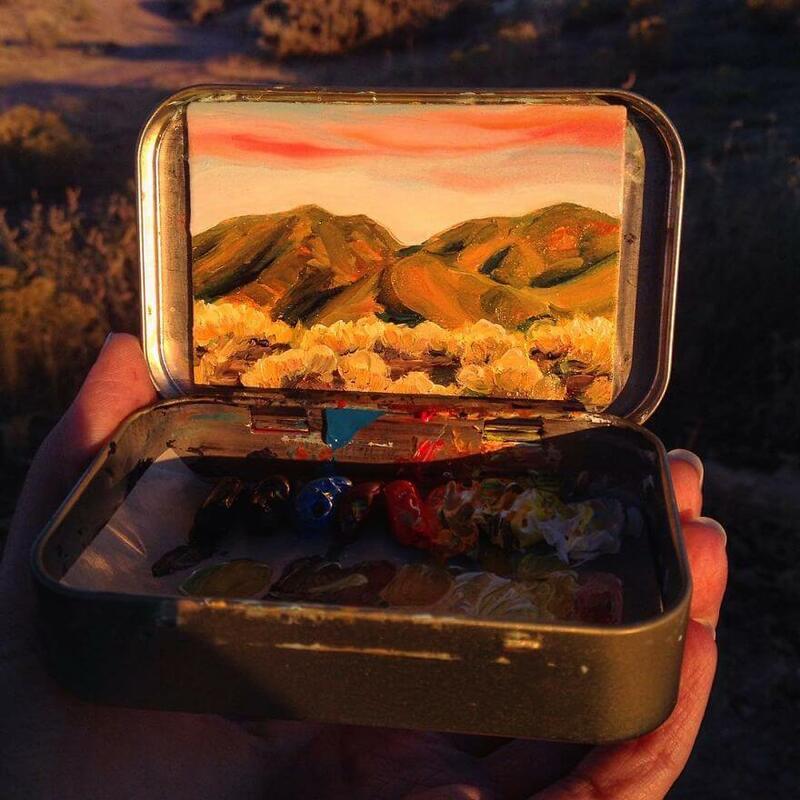 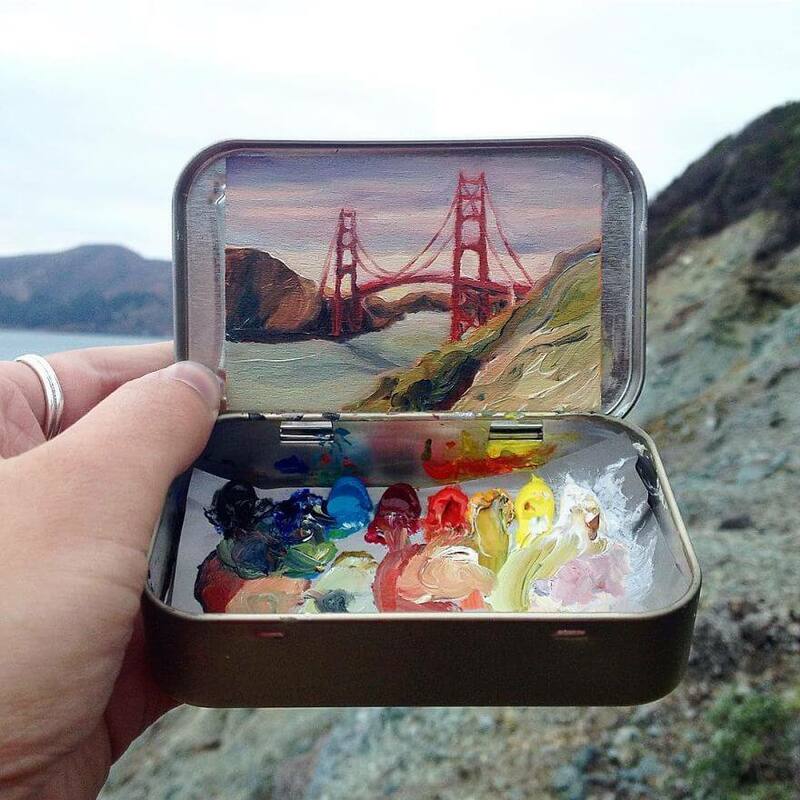 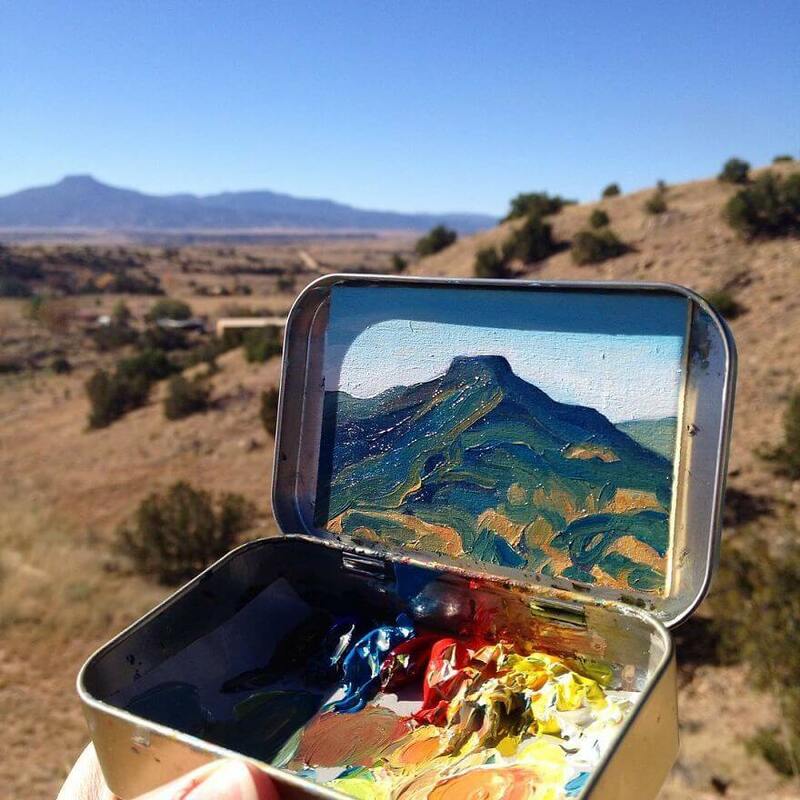 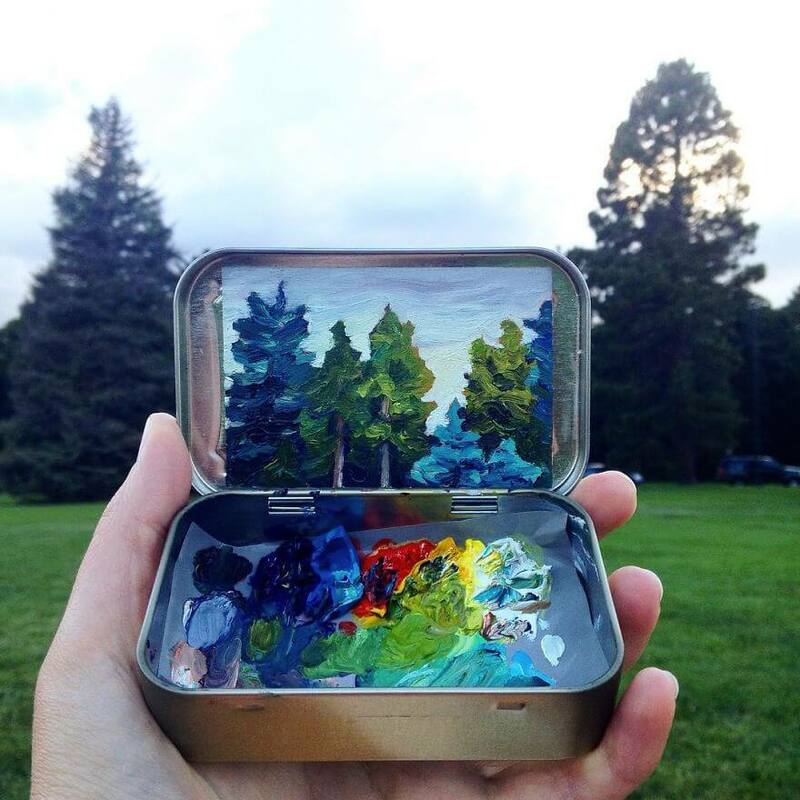 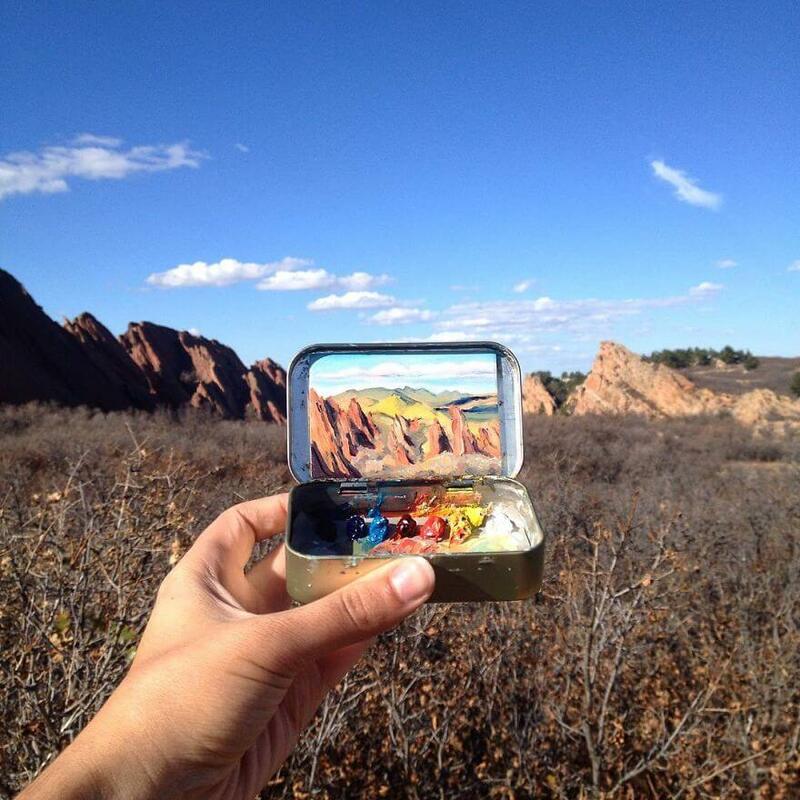 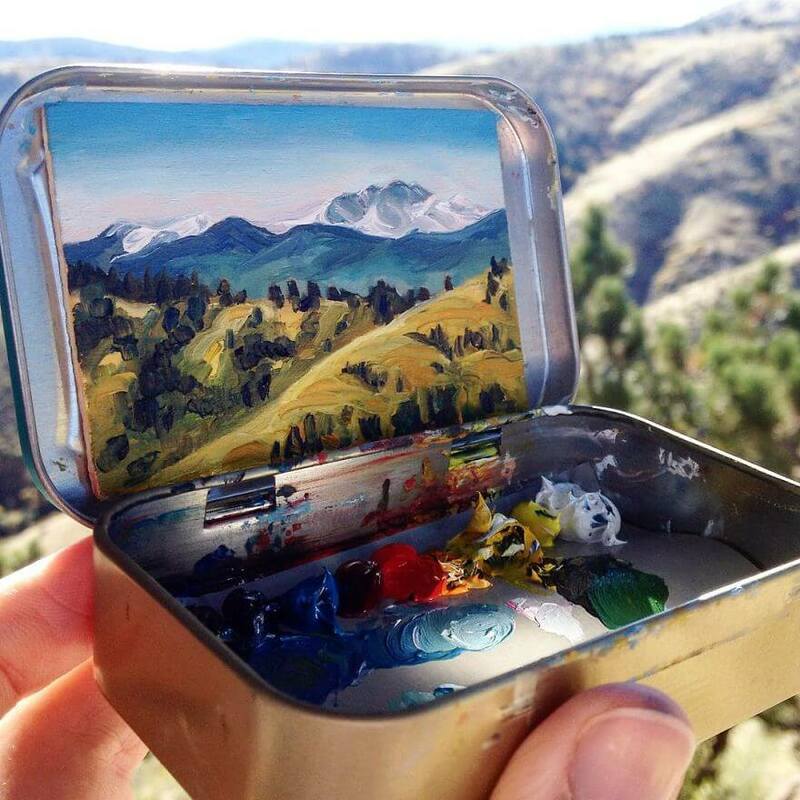 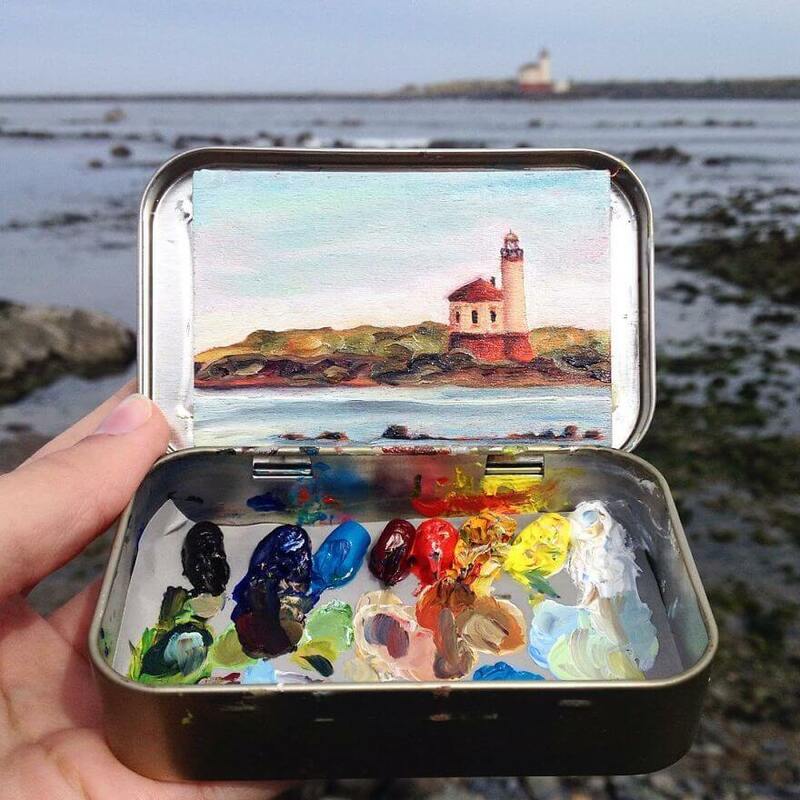 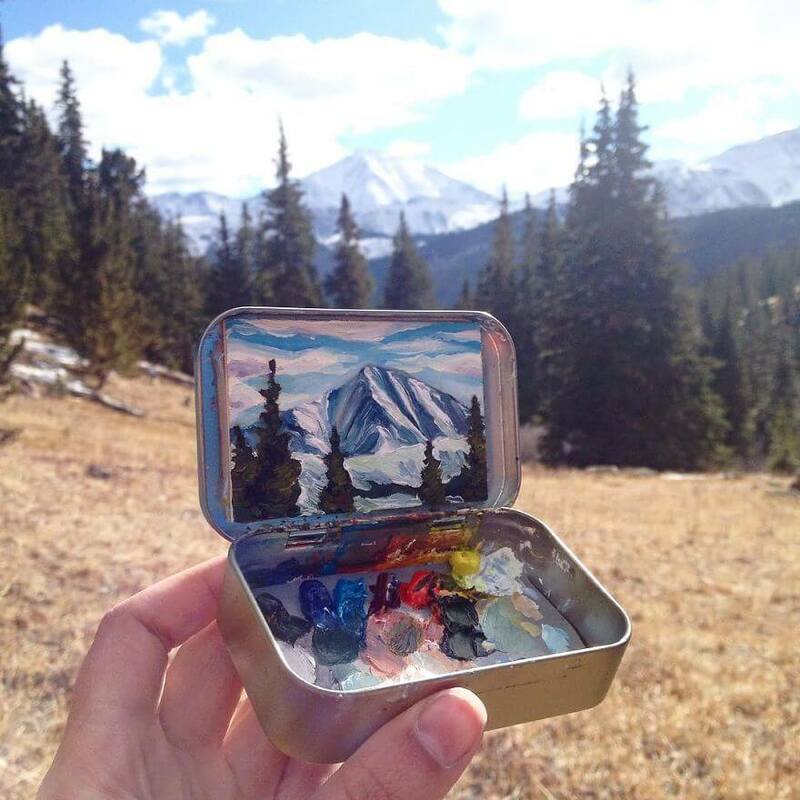 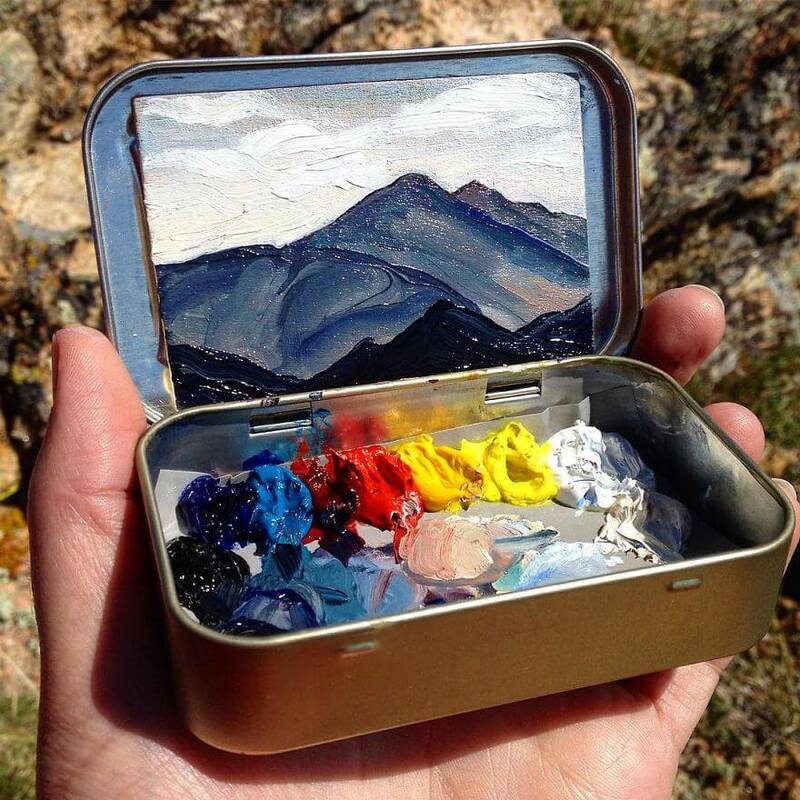 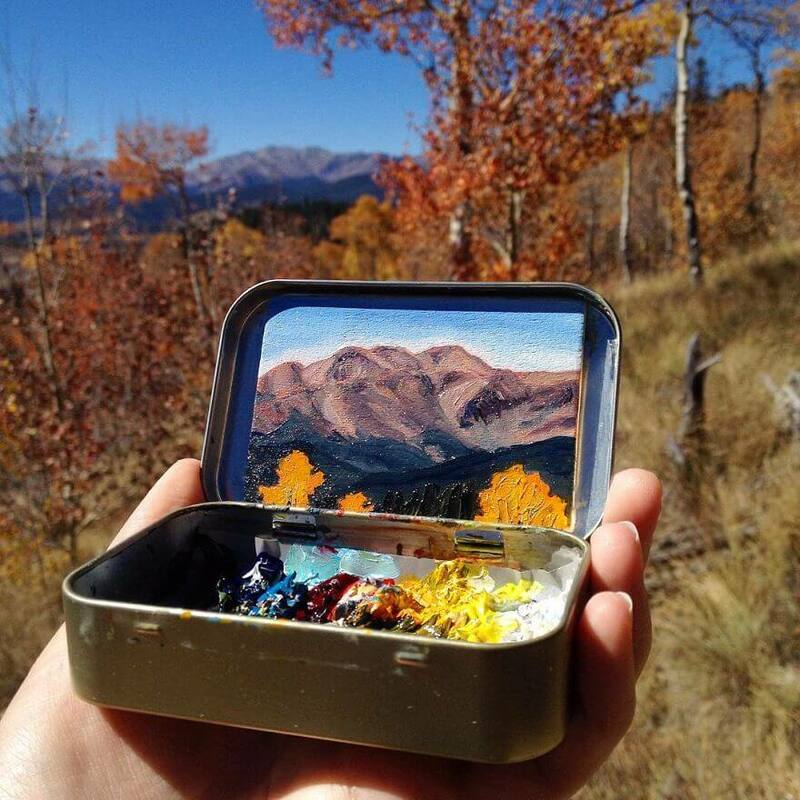 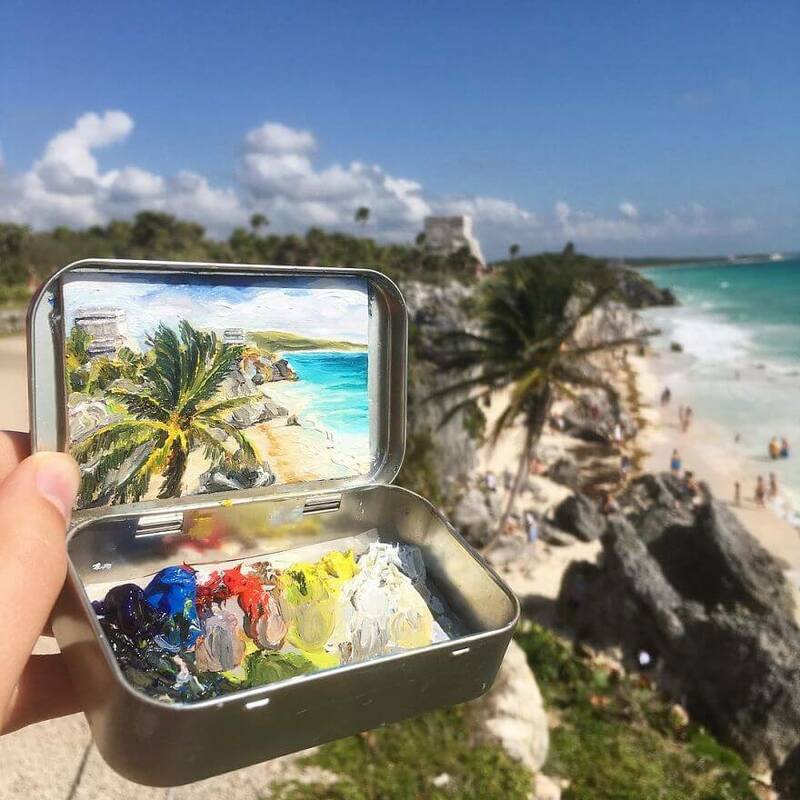 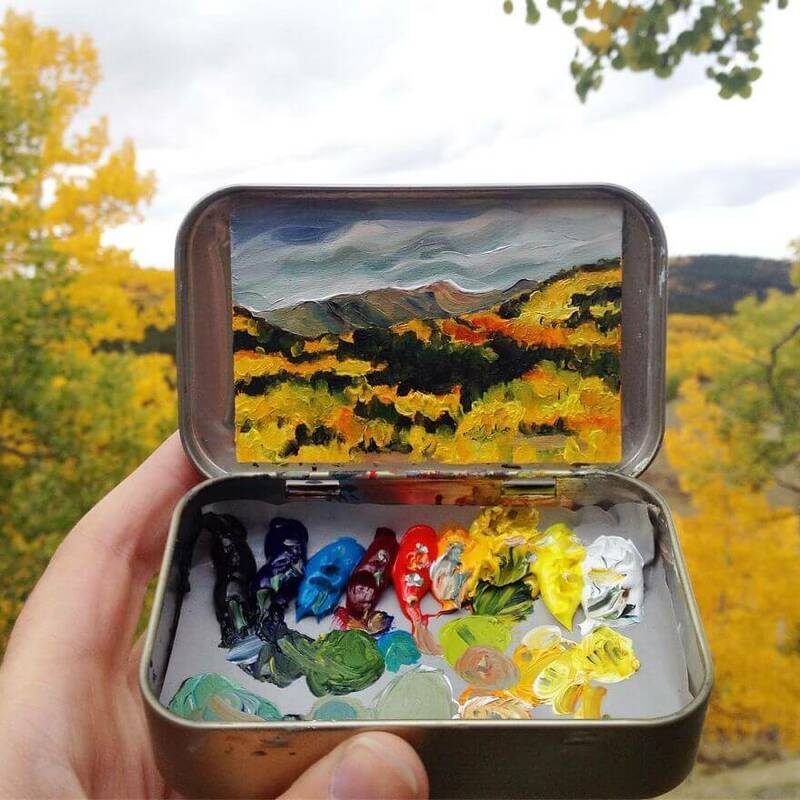 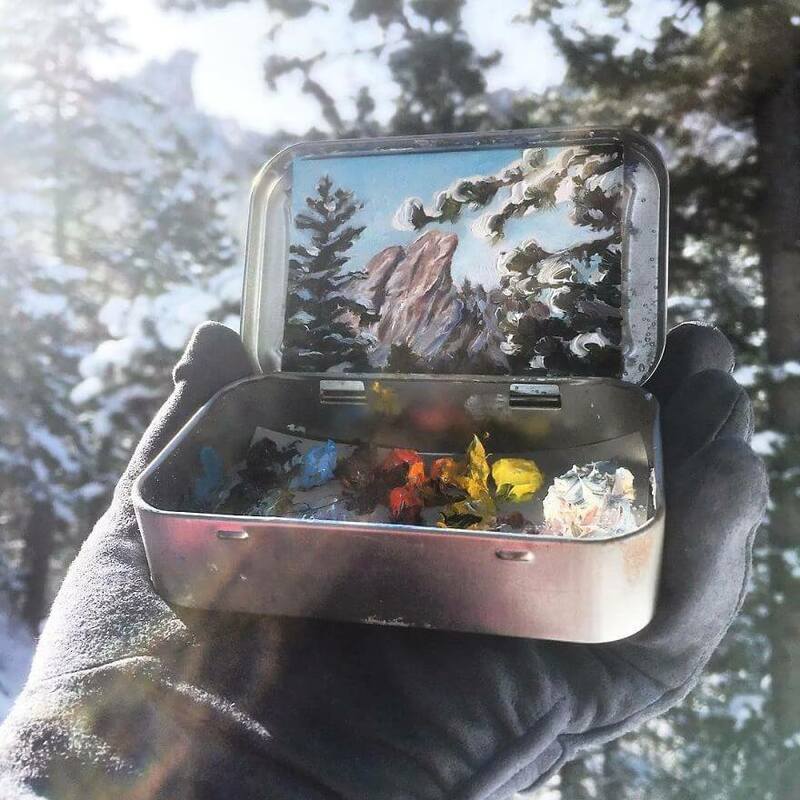 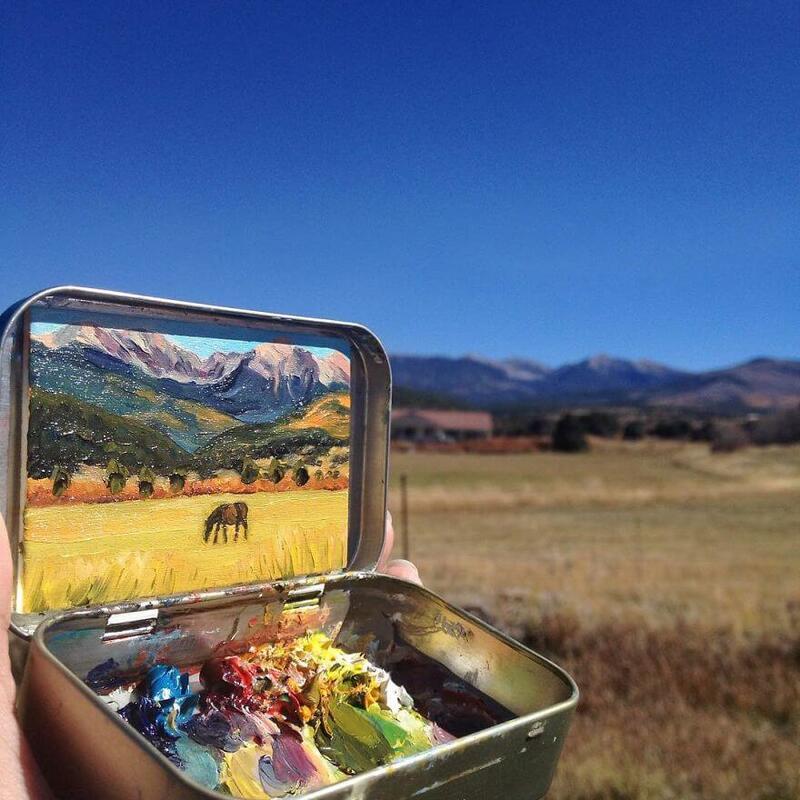 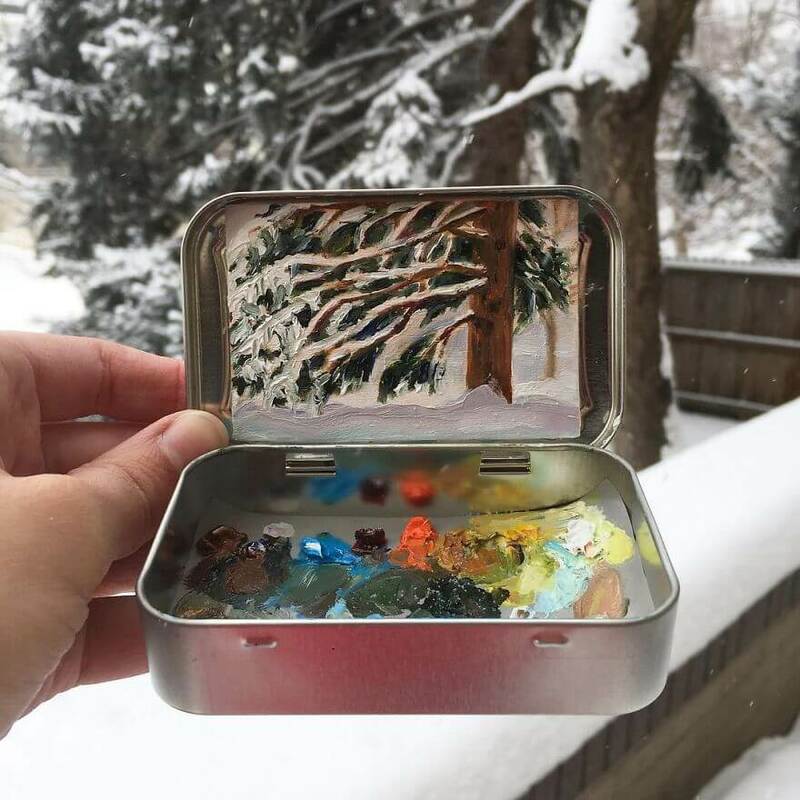 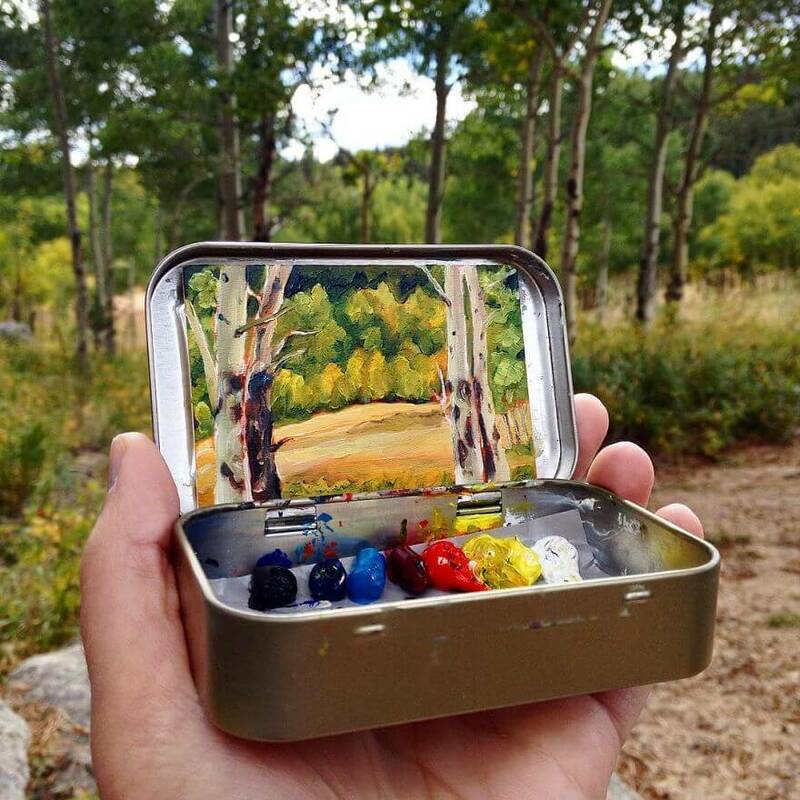 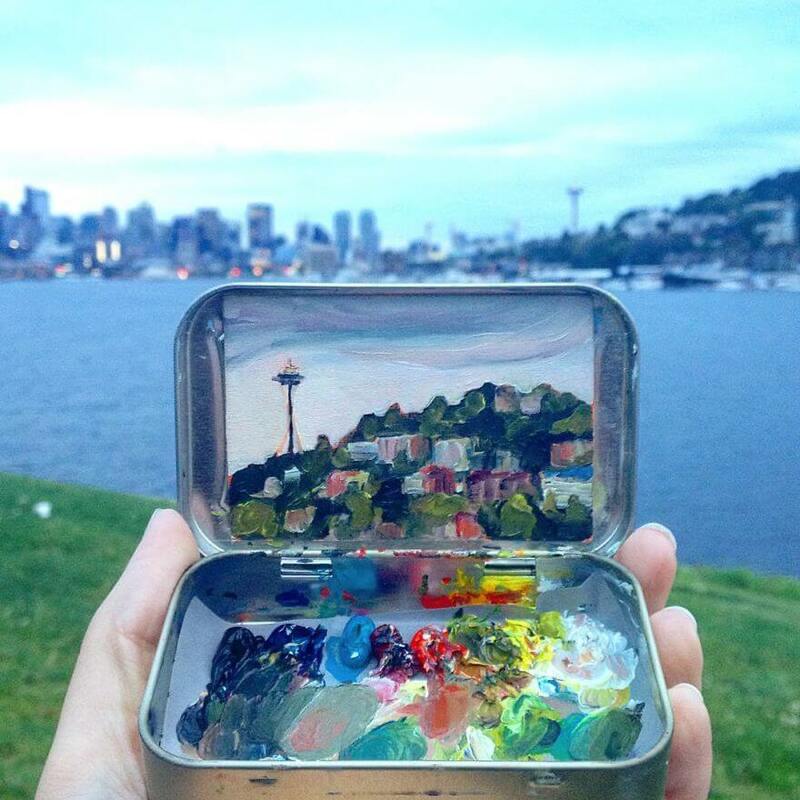 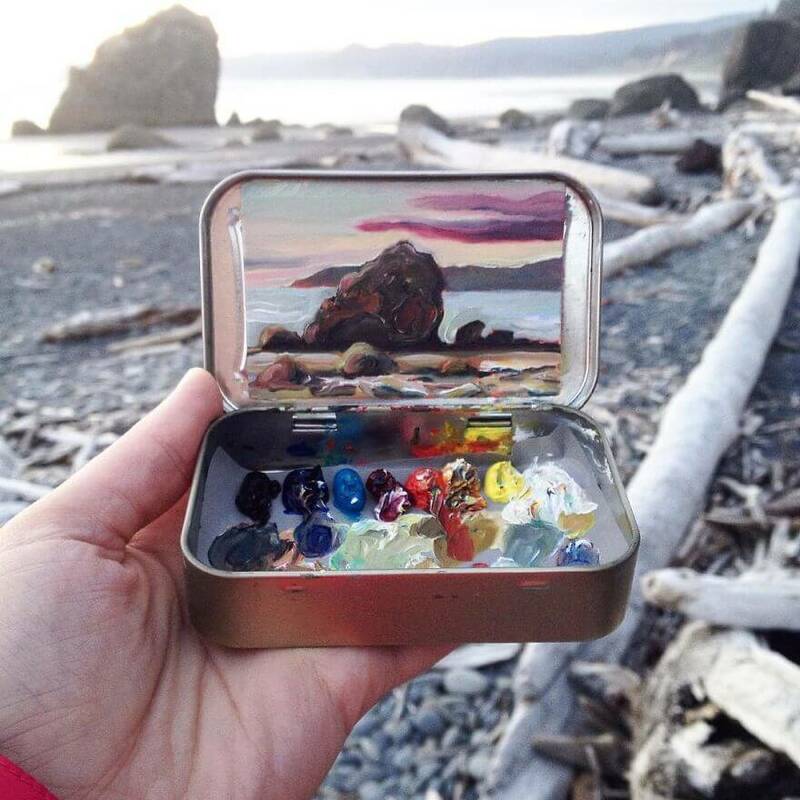 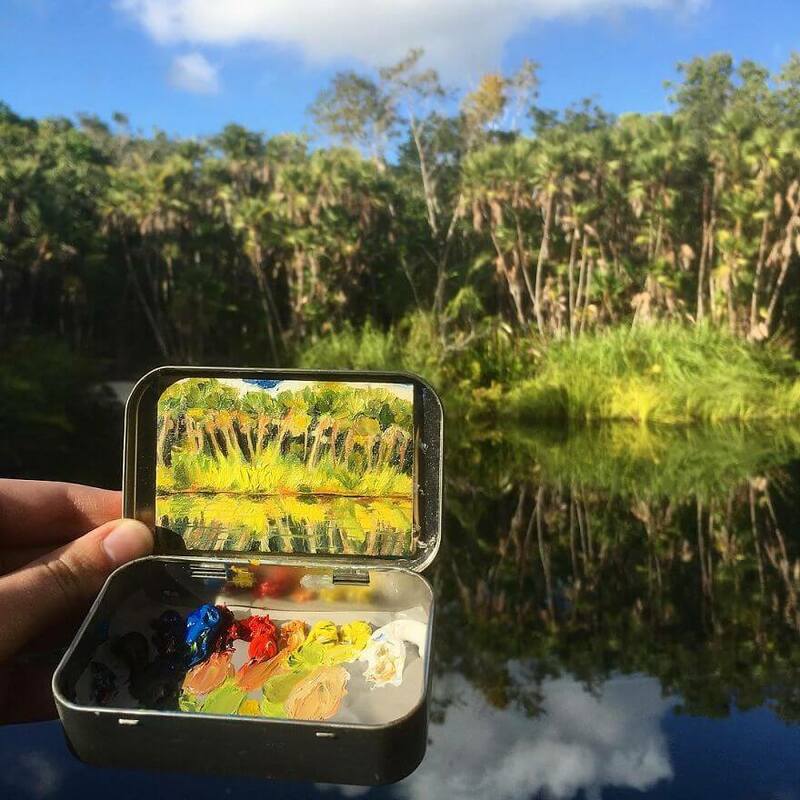 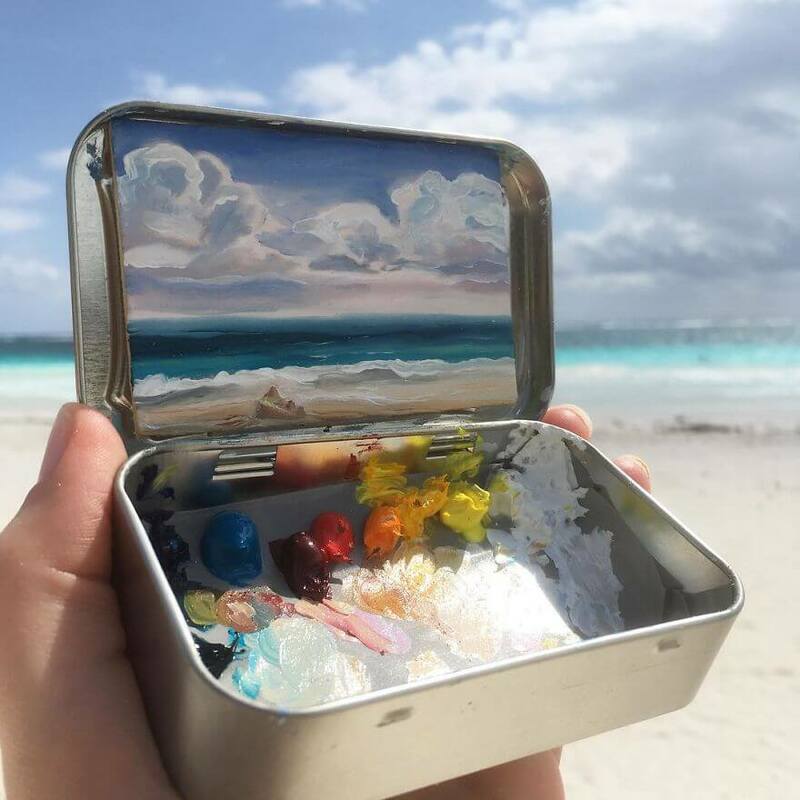 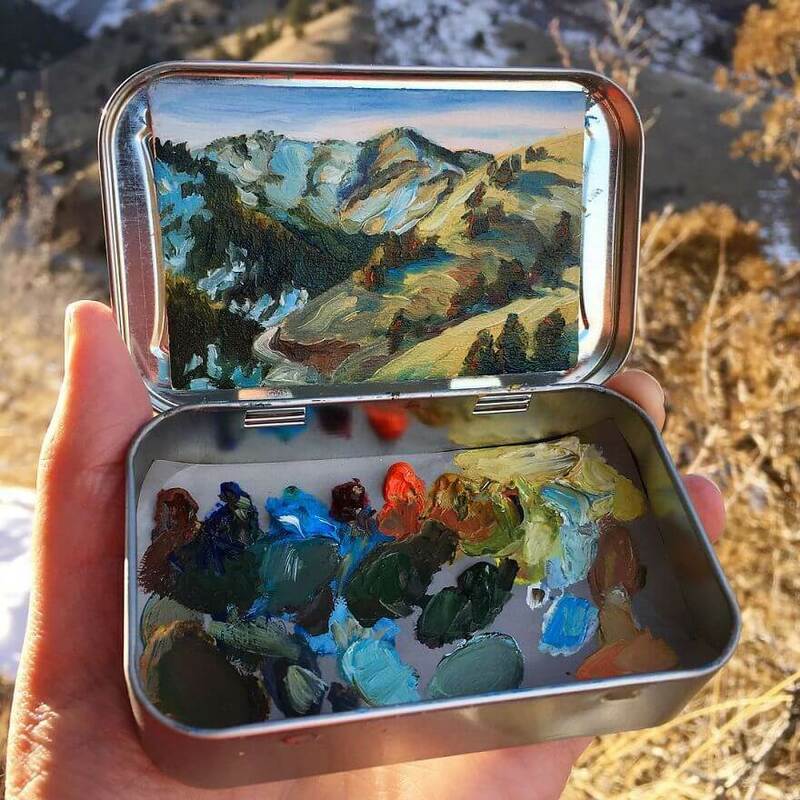 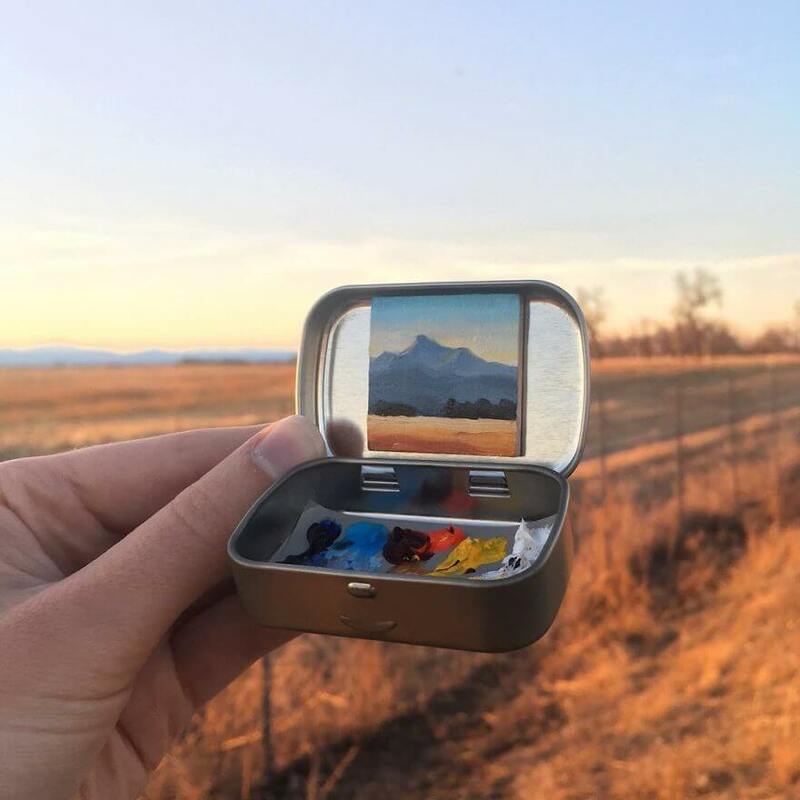 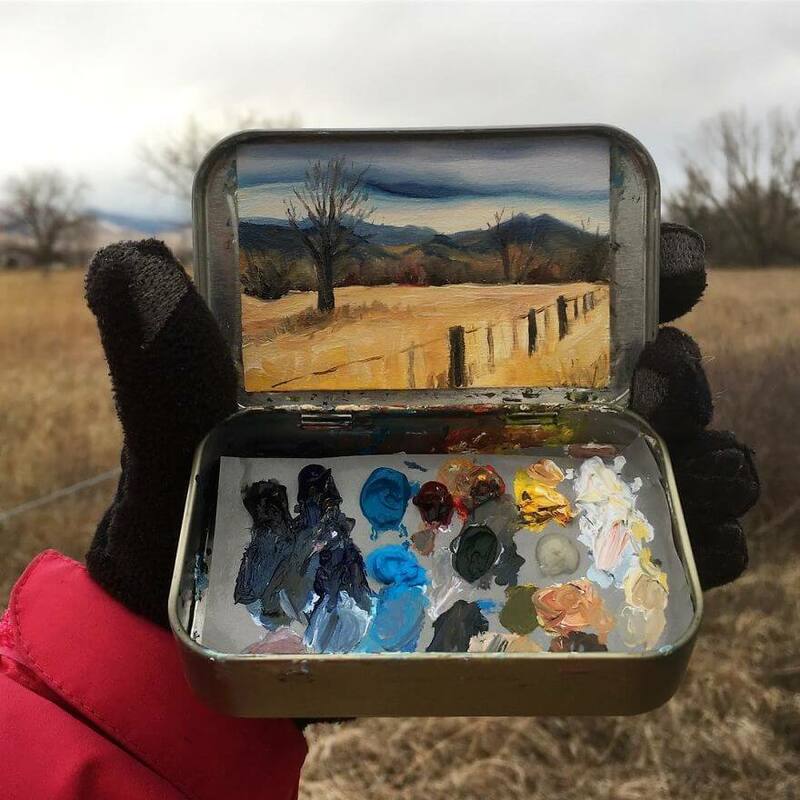 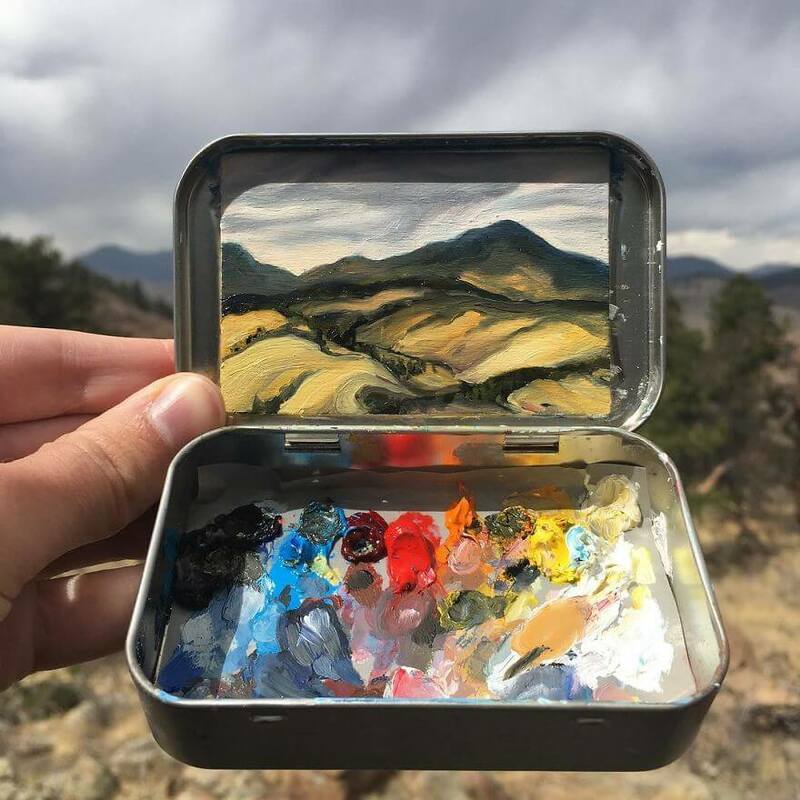 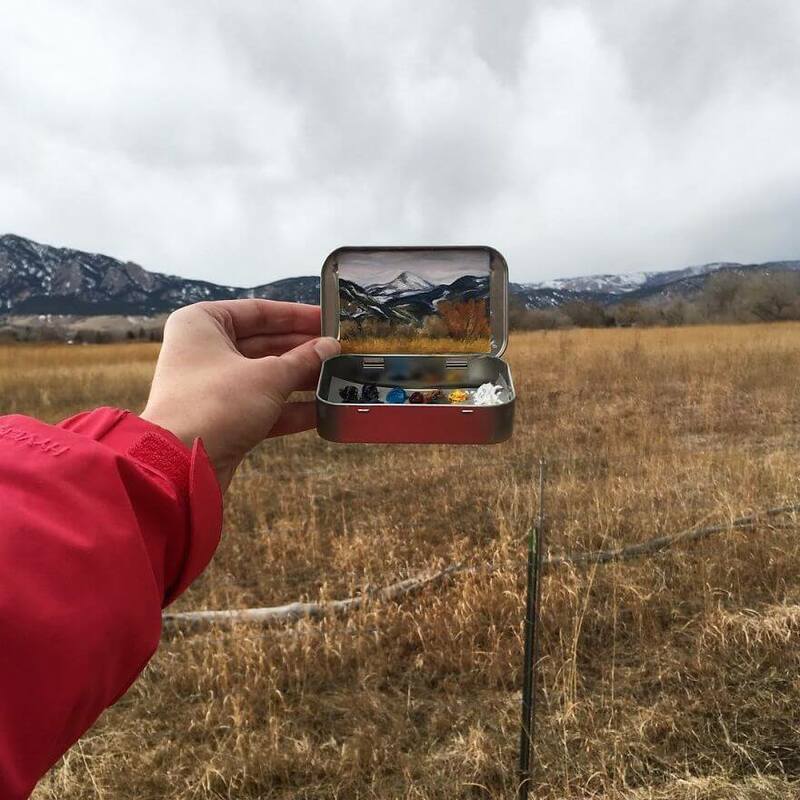 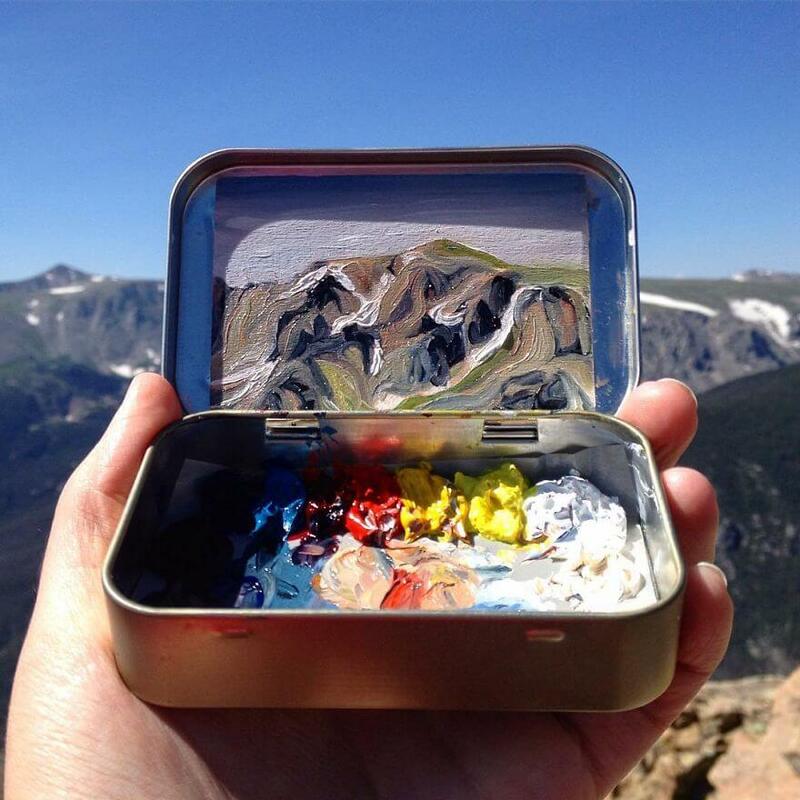 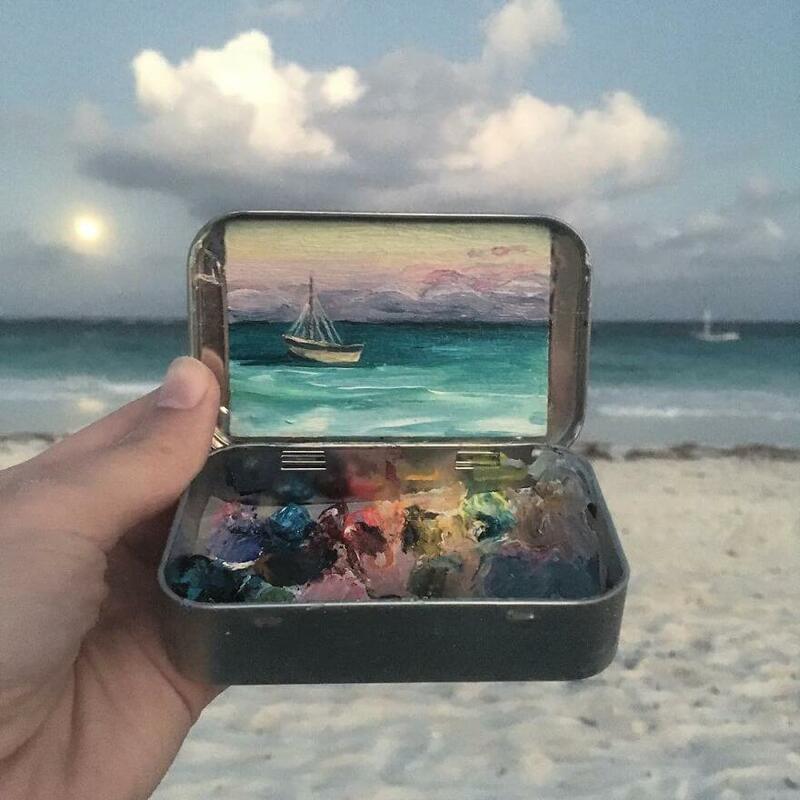 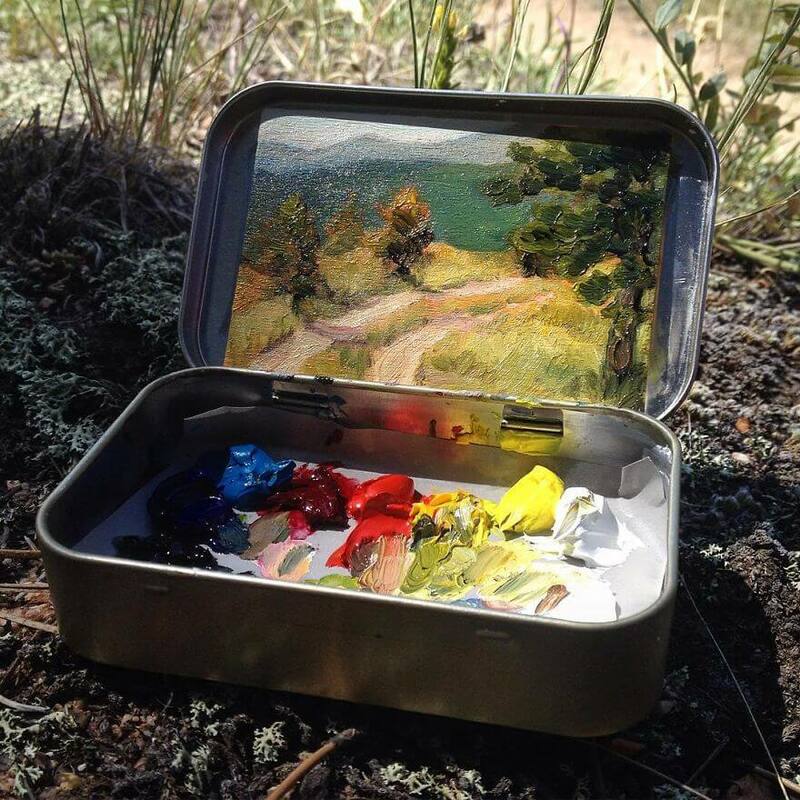 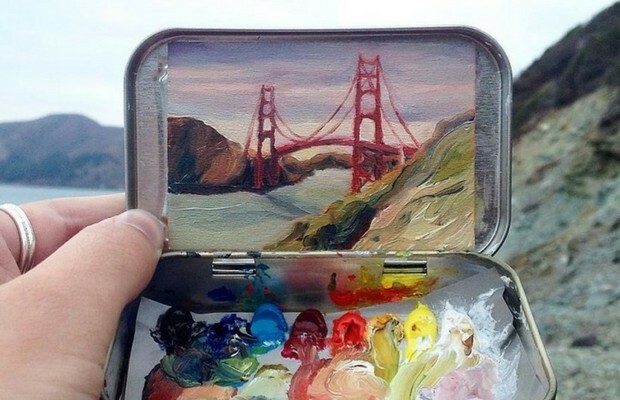 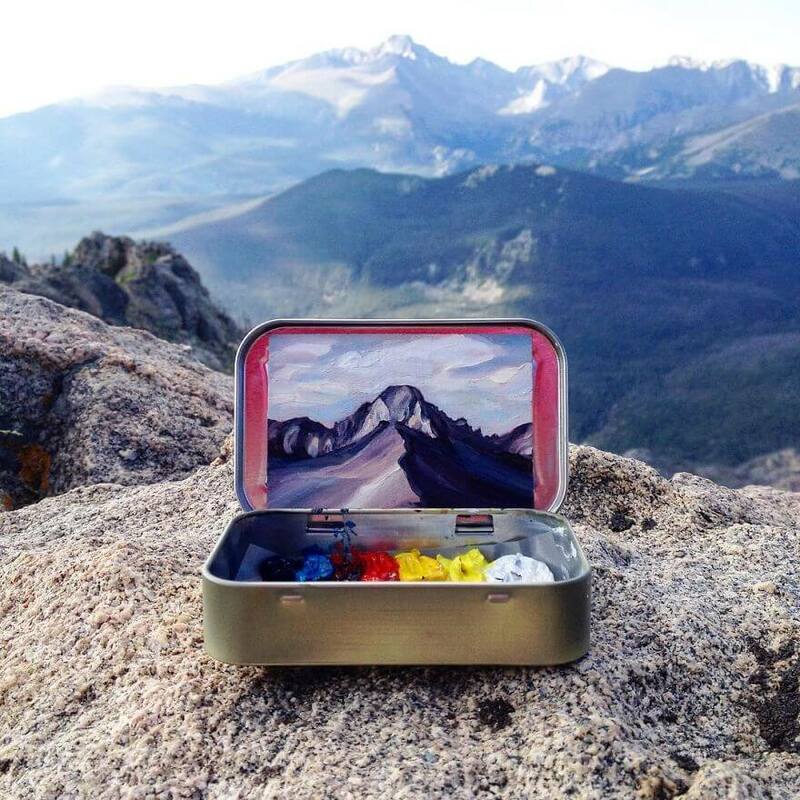 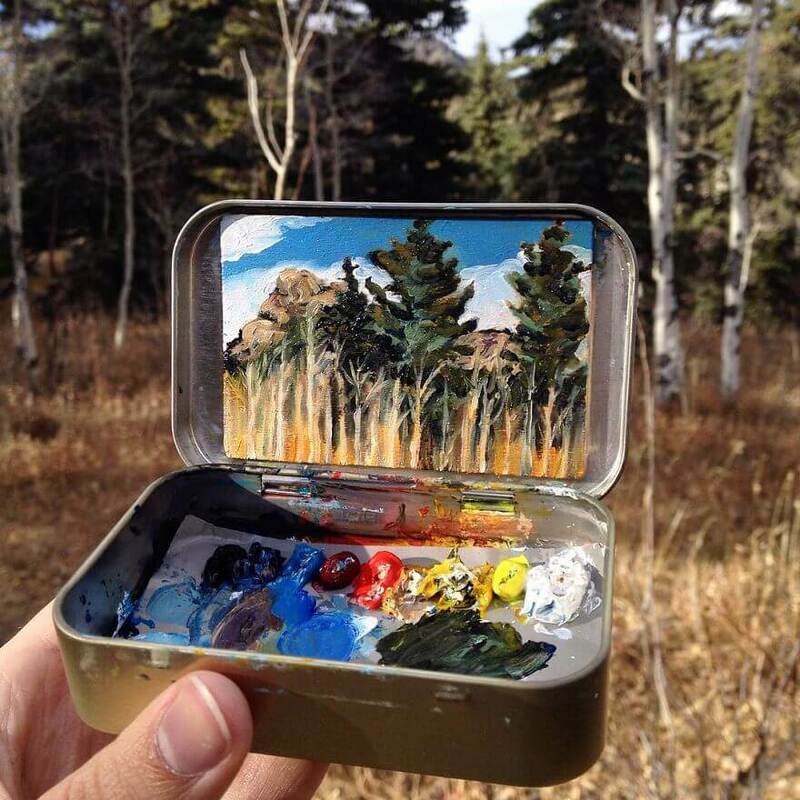 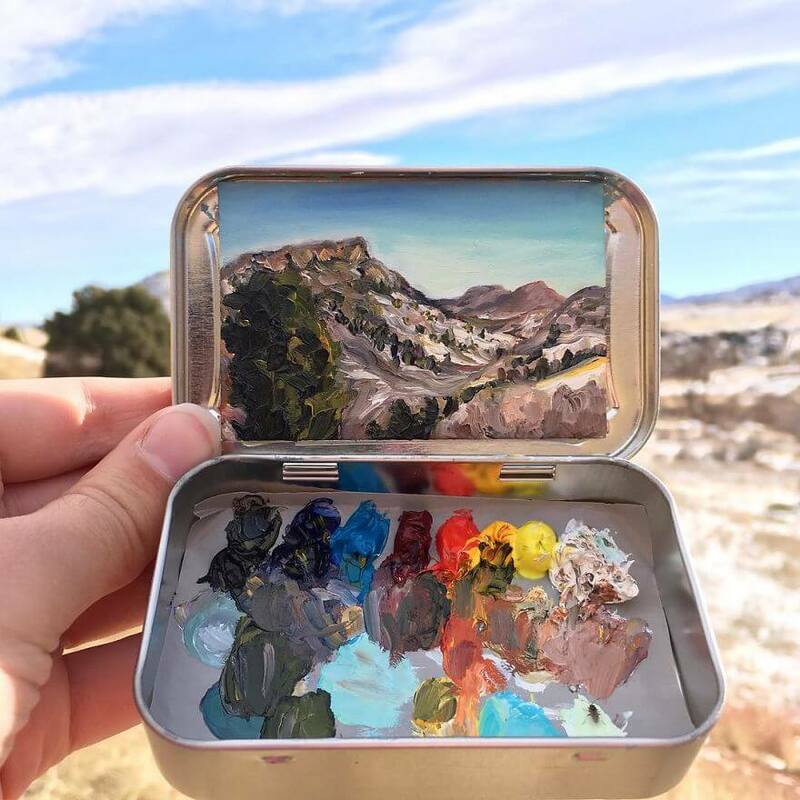 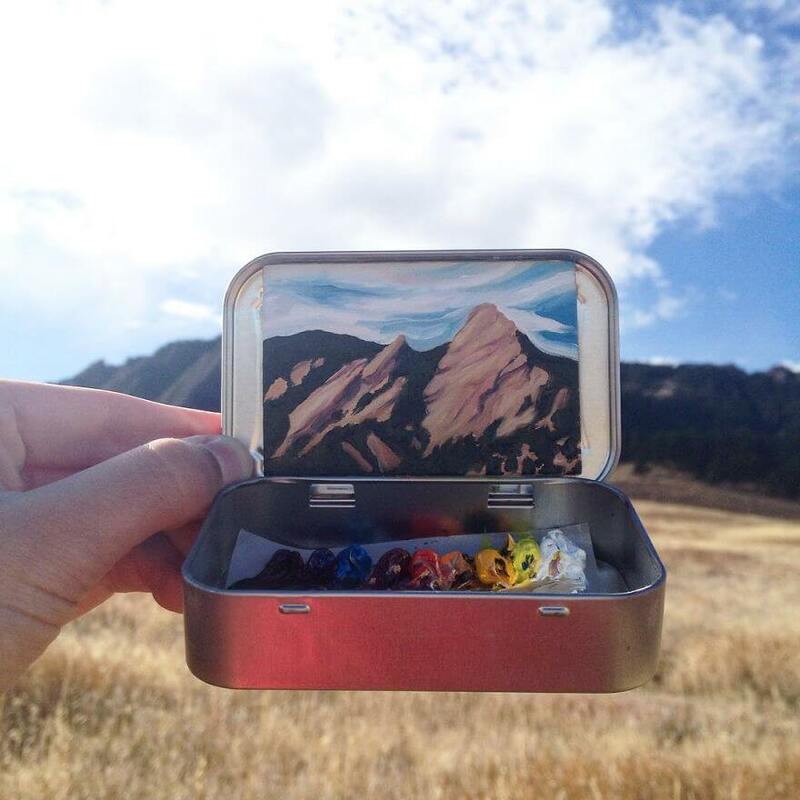 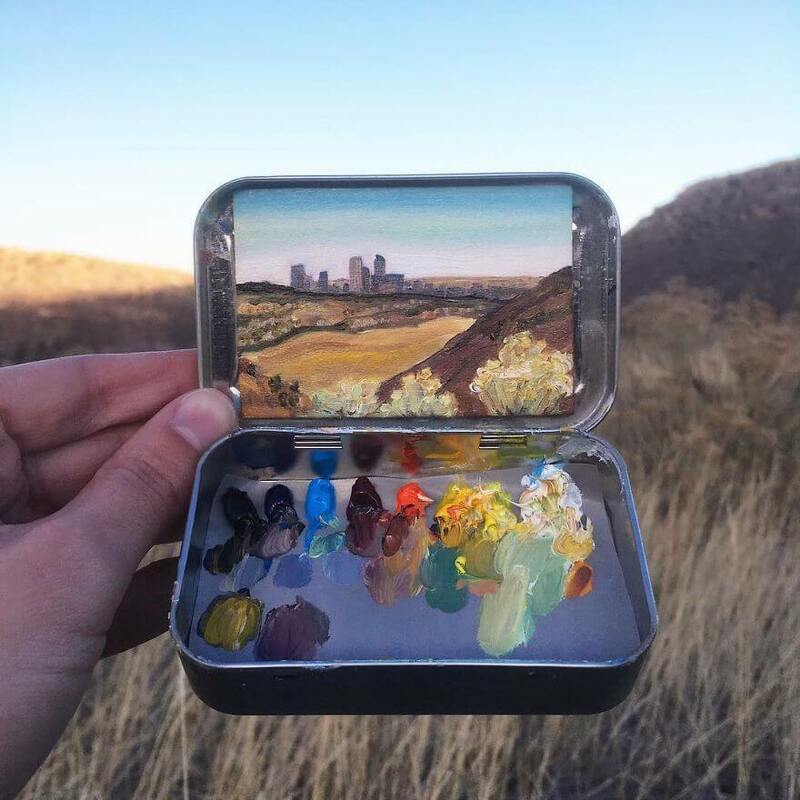 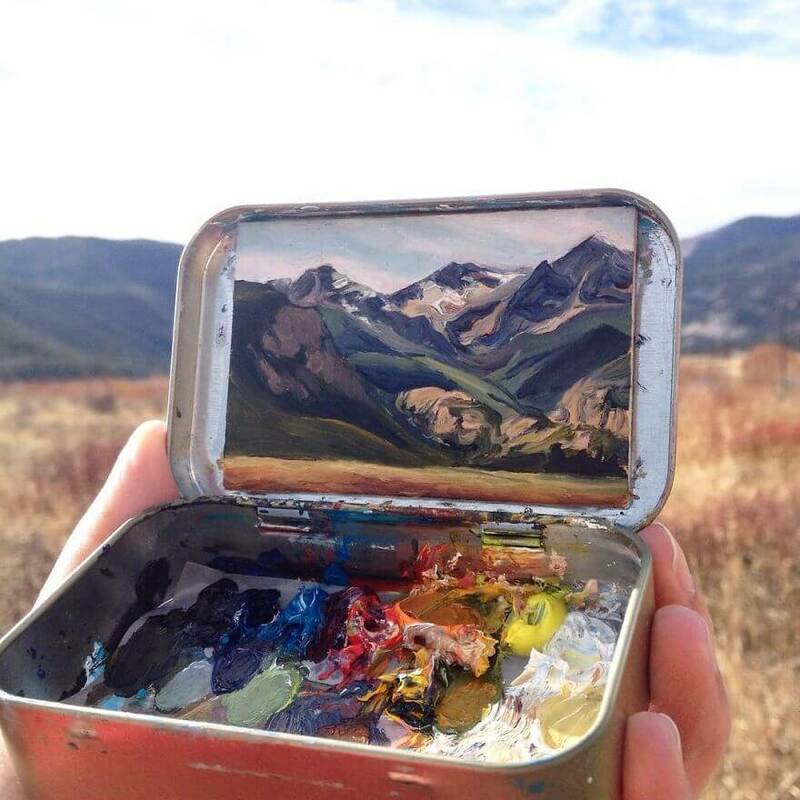 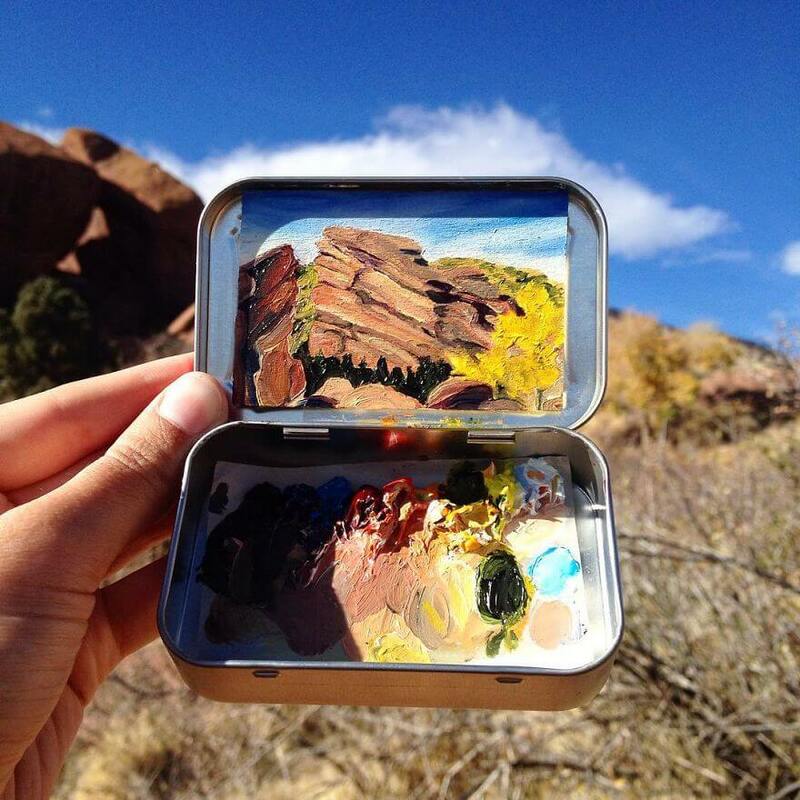 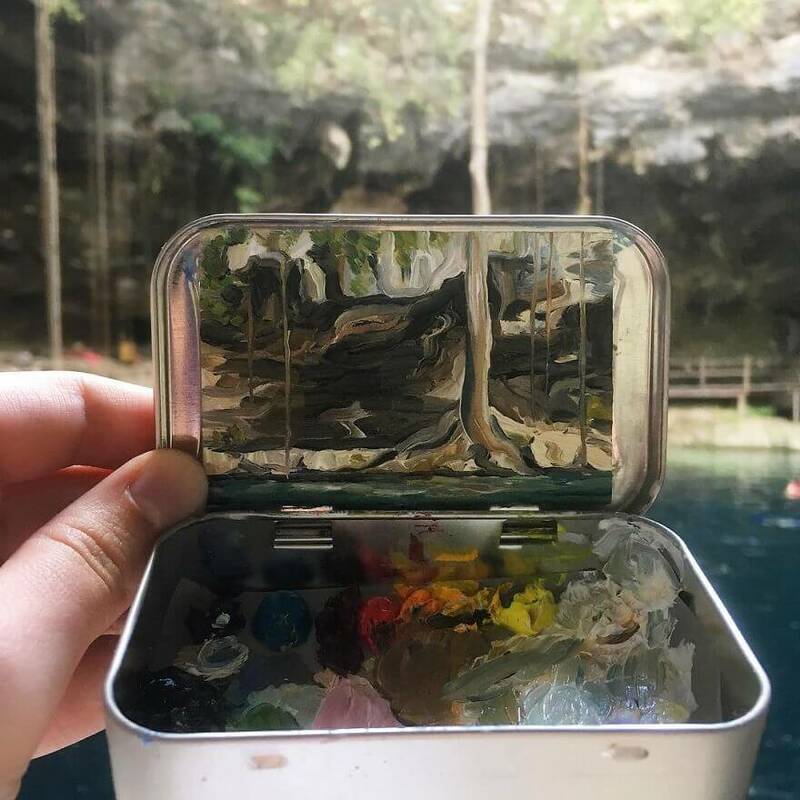 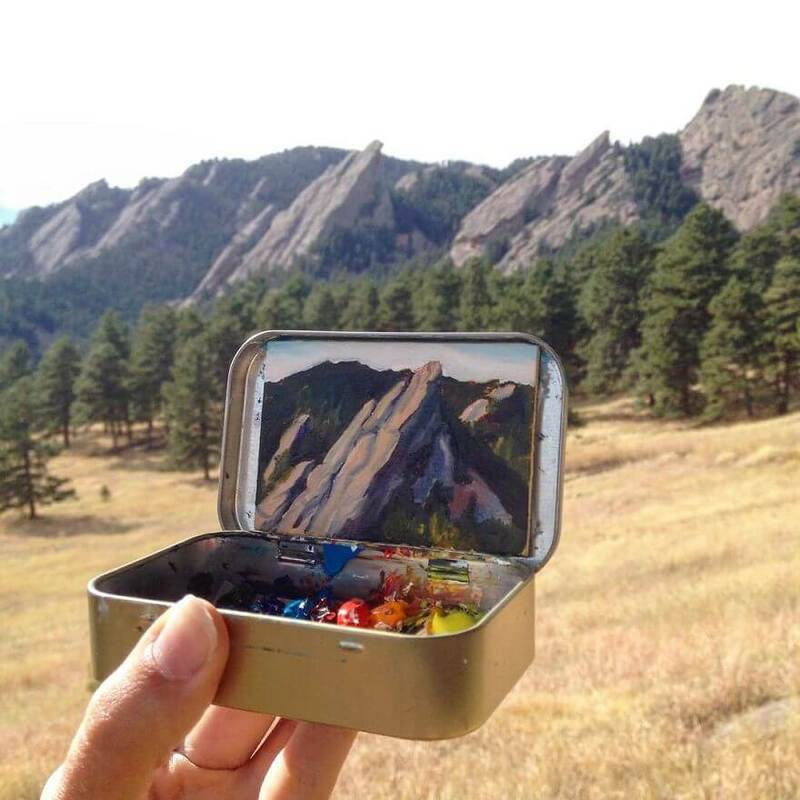 Artist Heidi Annalise from Colorado likes to travel and create these cute tiny landscapes paintings inside small aluminum boxes. 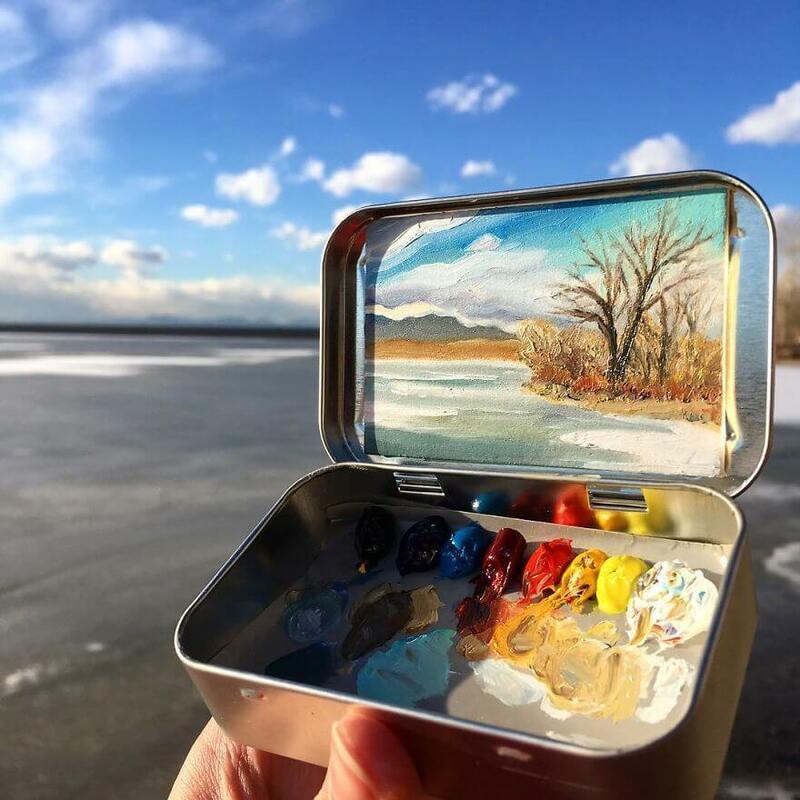 She has a special skill to put a wide open space into a tiny box, seems like anyone can do it, but if you ever tried to paint landscape, you know it’s not that easy. 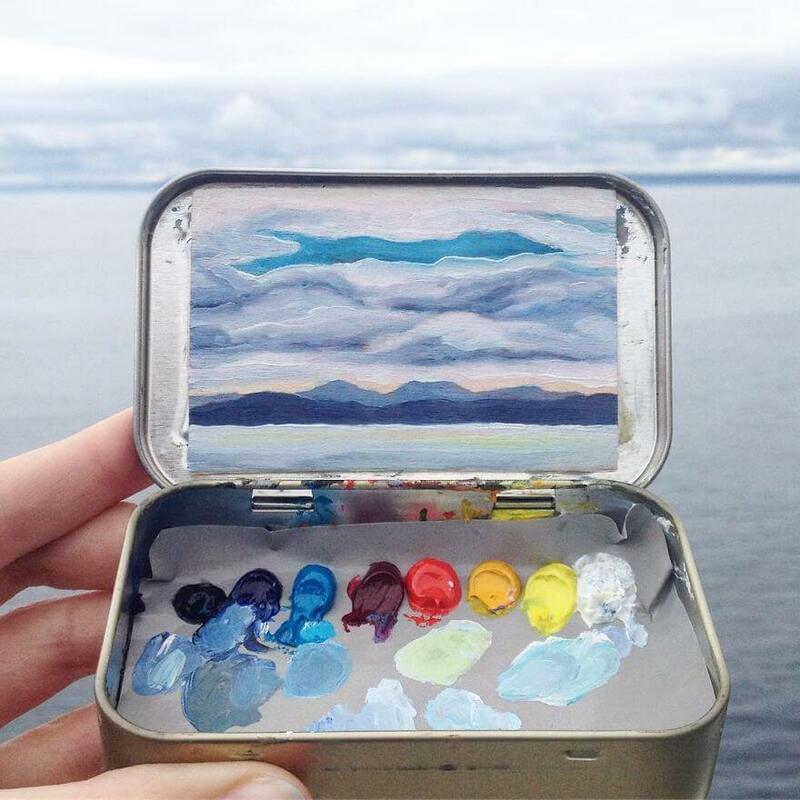 She places a small piece of paper on the top of the box and she carefully lays out small palette of colors at the bottom to give the whole thing an artistic look. 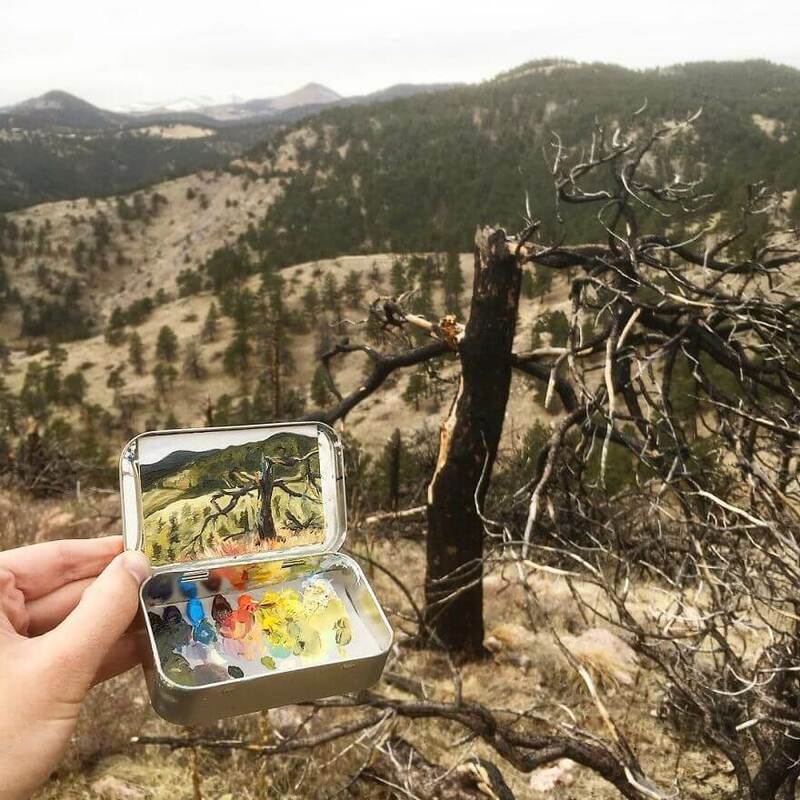 Heidi is a nature gal, she loves the outdoors and it’s pretty clear from looking at her work, her biggest inspiration is the stunning nature of her home state, Colorado, and many of her works of art and tiny landscapes are of that state. 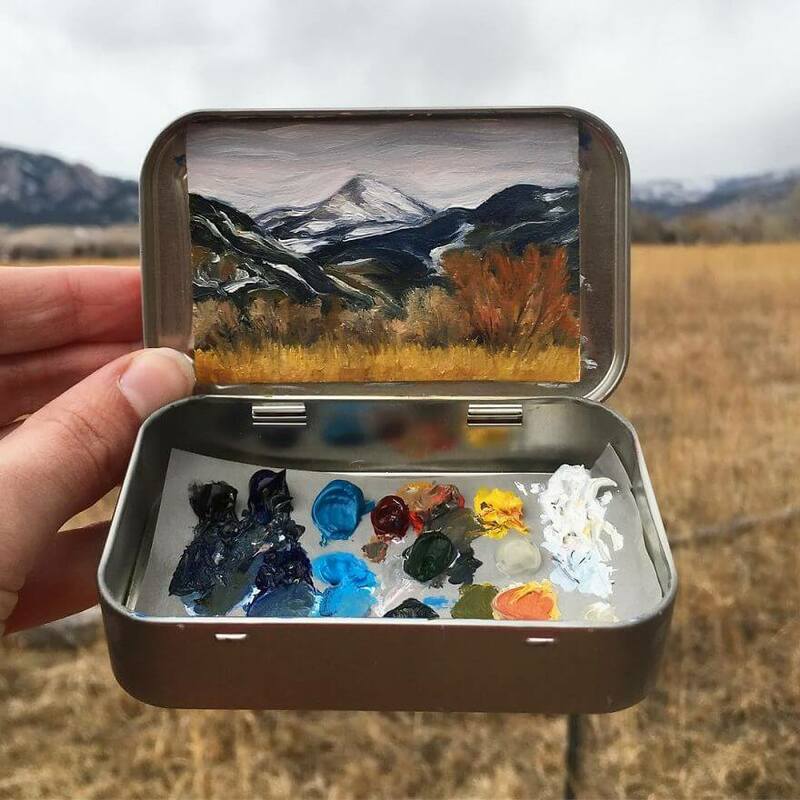 Her biggest advantage is the fact that her ” studio ” is so small she can literaly pick it up and take it anywhere she goes, so this gives her the freedom to create her tiny works of art wherever she is at that time.